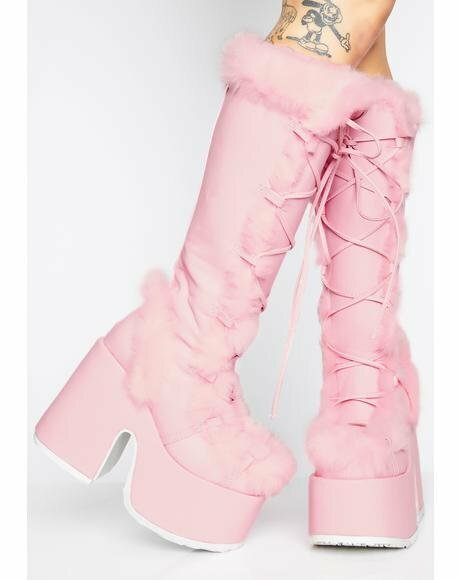 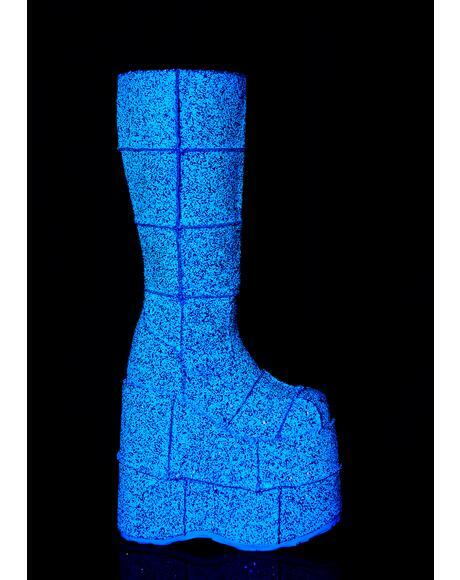 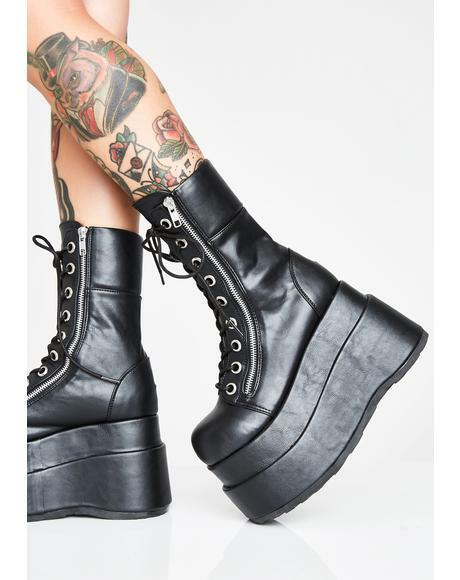 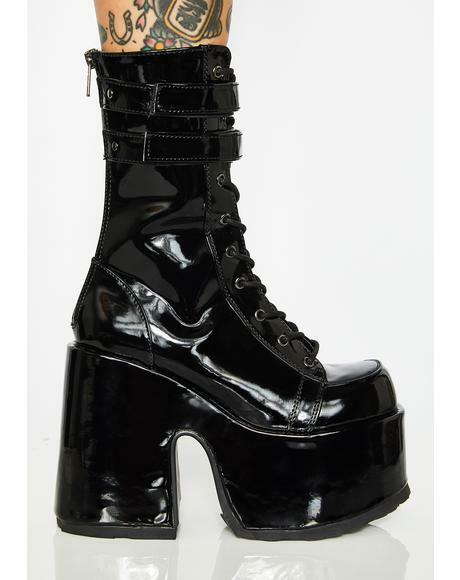 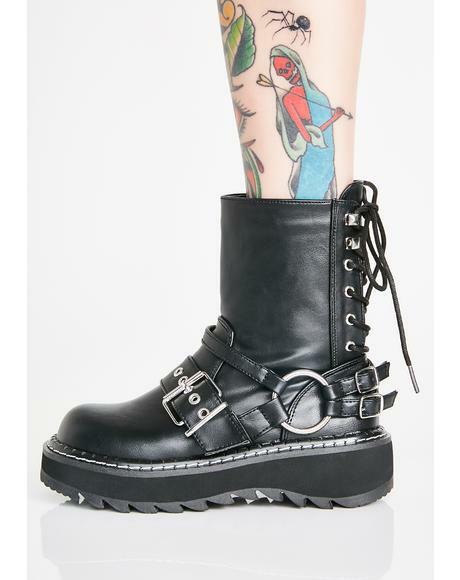 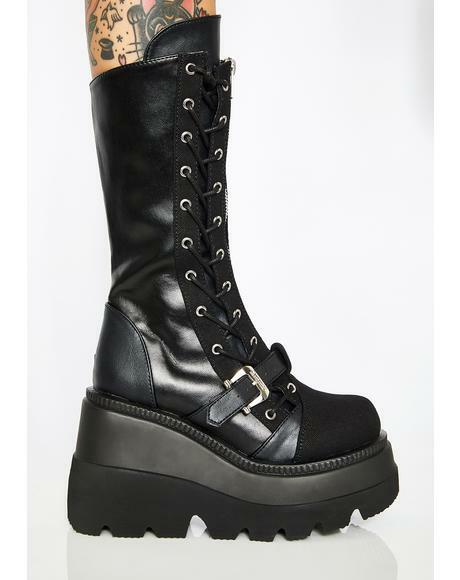 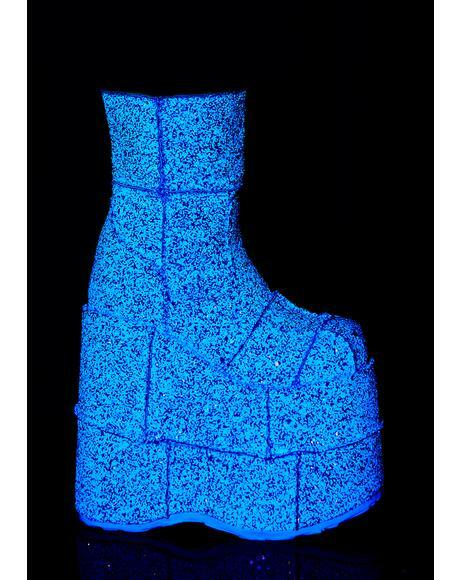 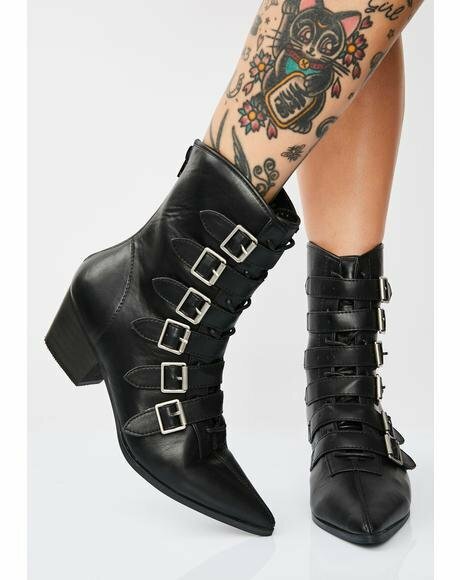 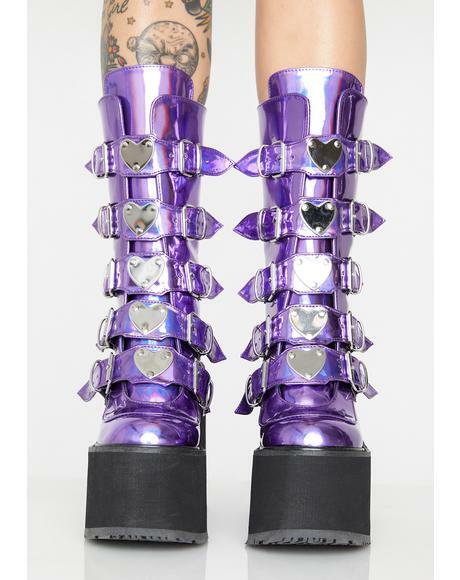 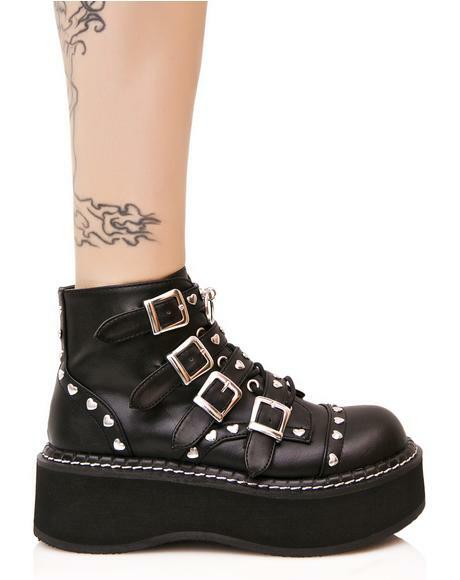 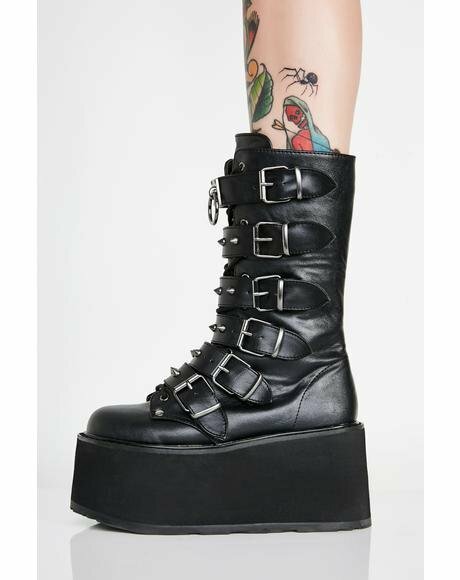 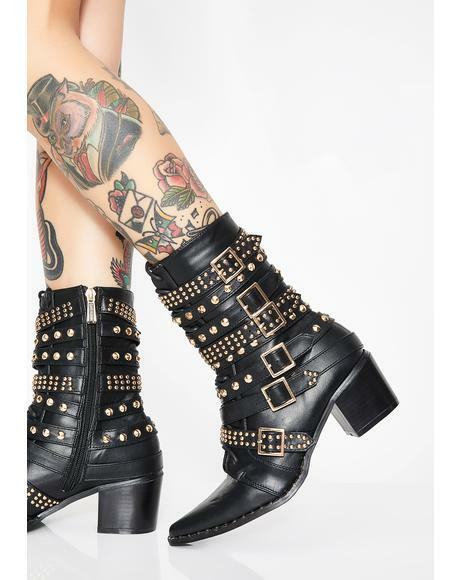 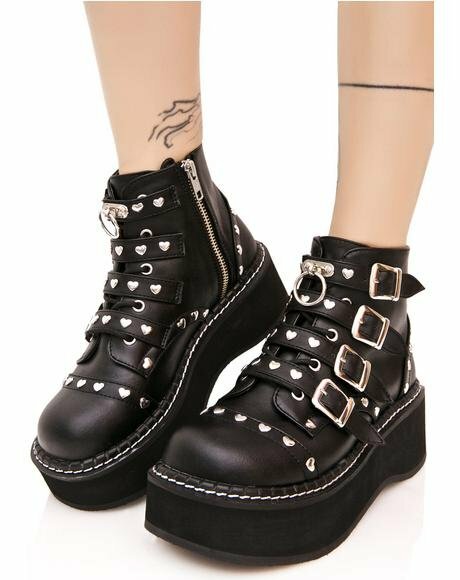 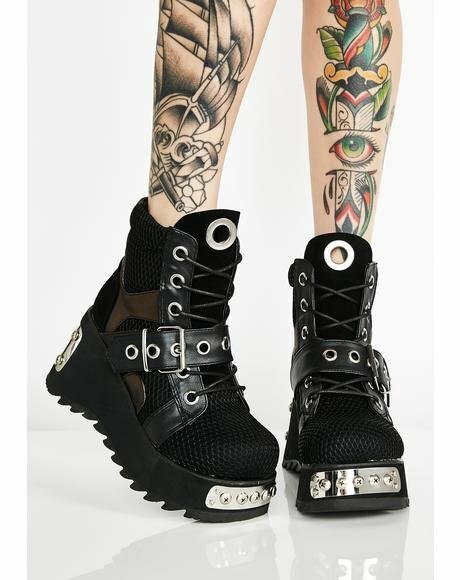 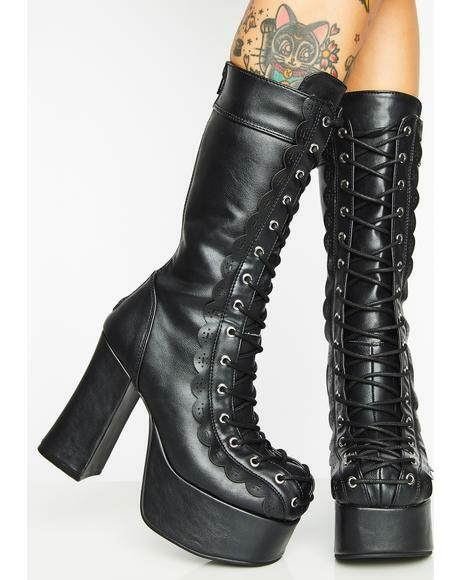 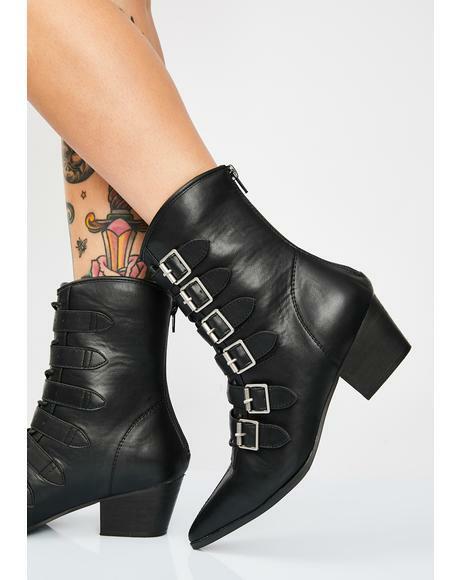 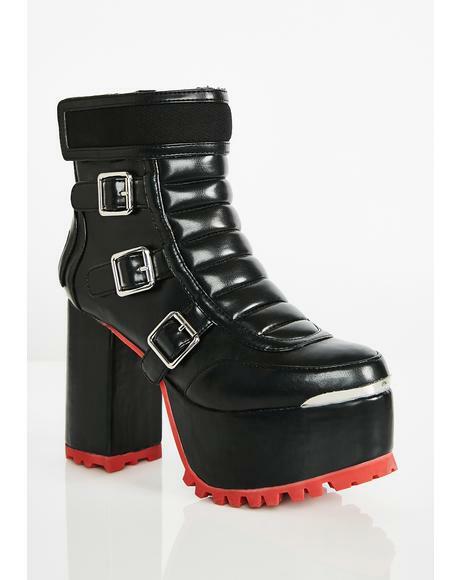 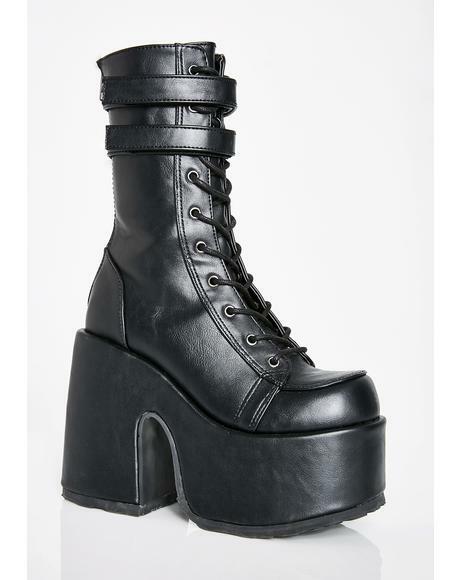 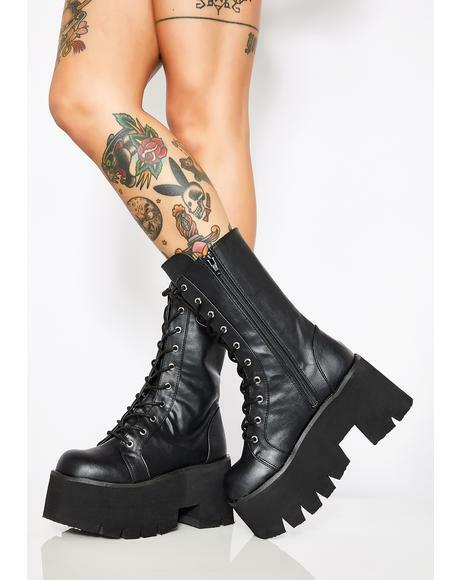 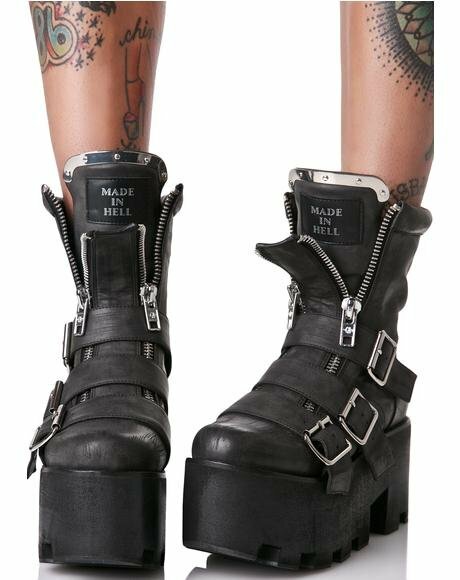 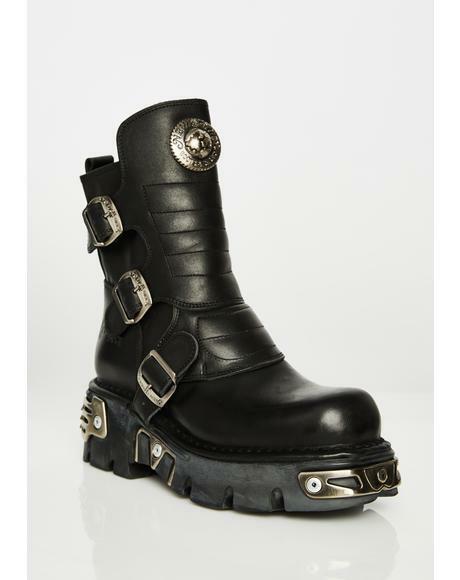 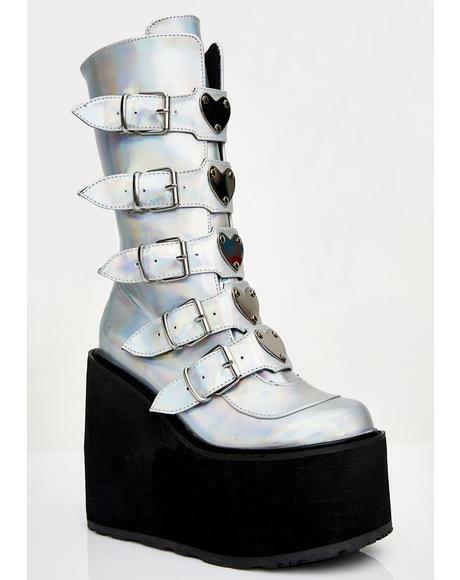 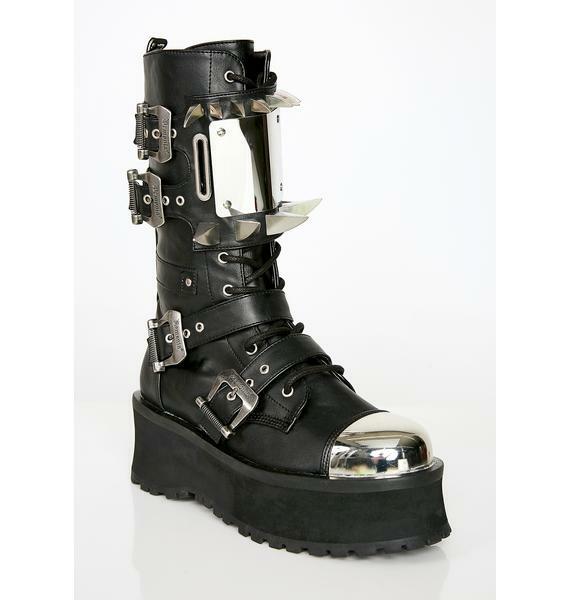 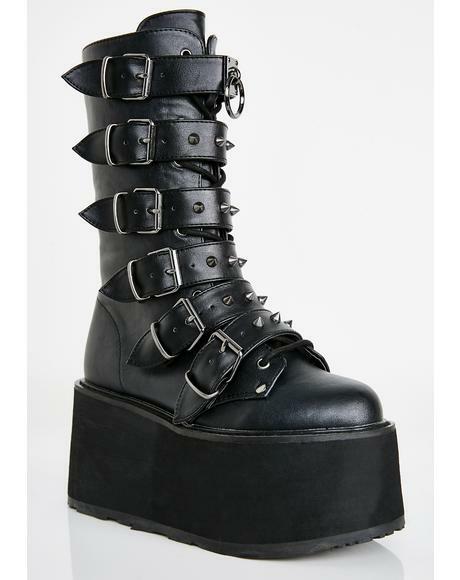 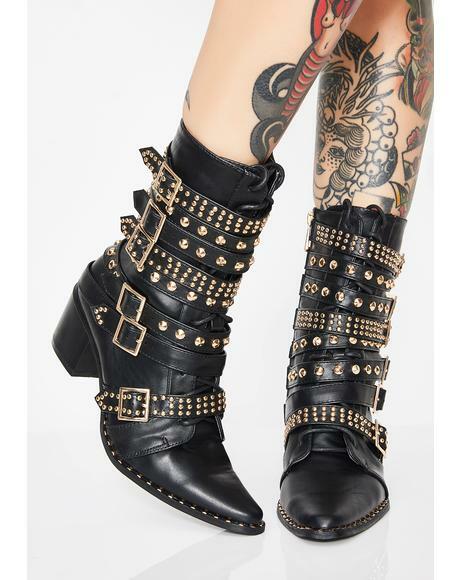 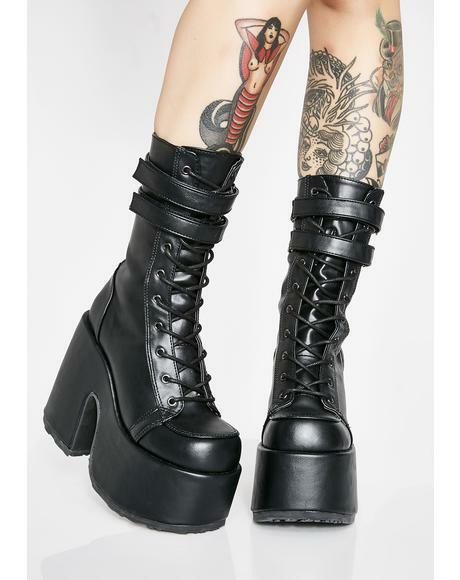 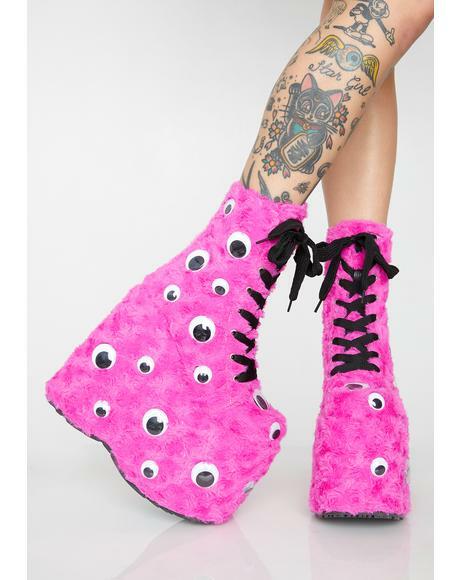 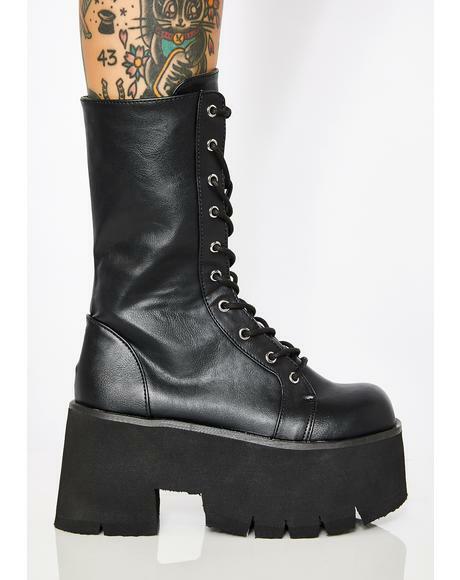 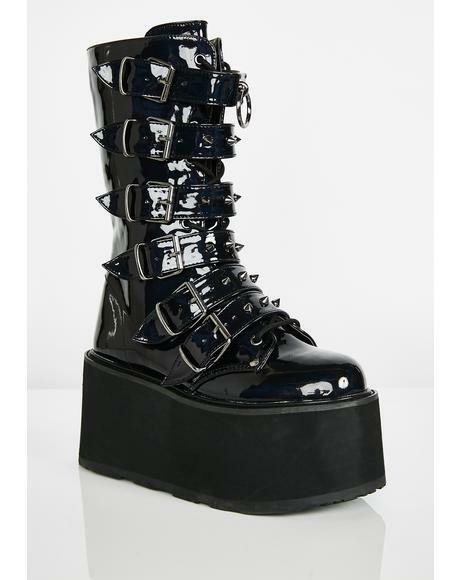 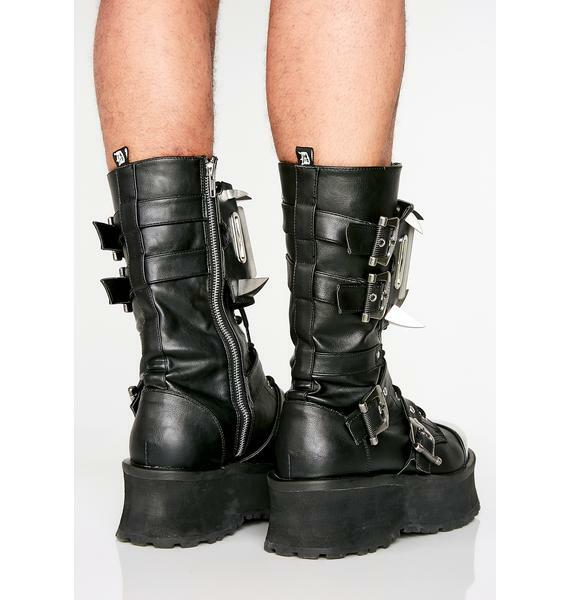 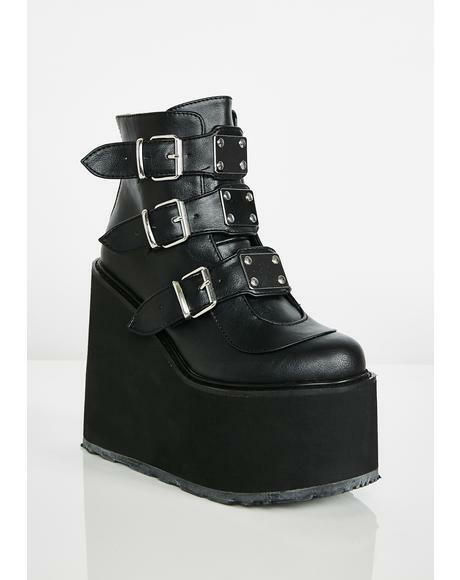 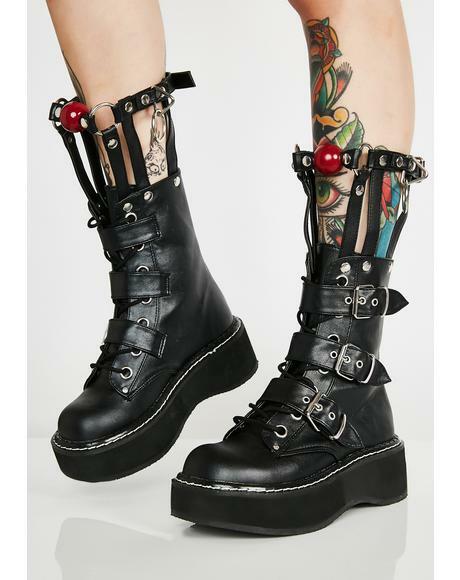 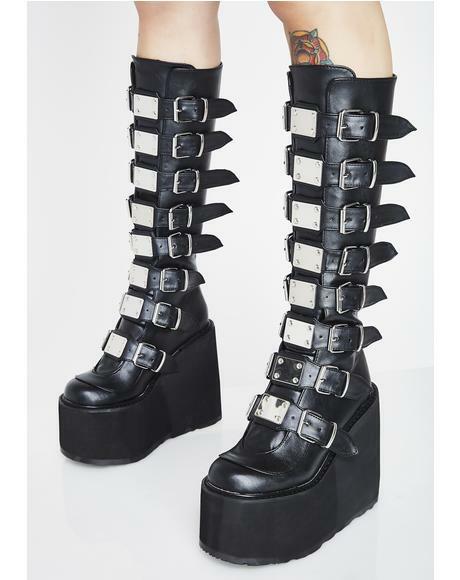 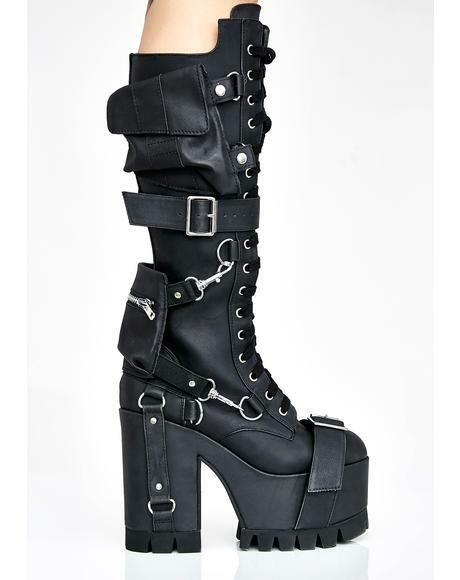 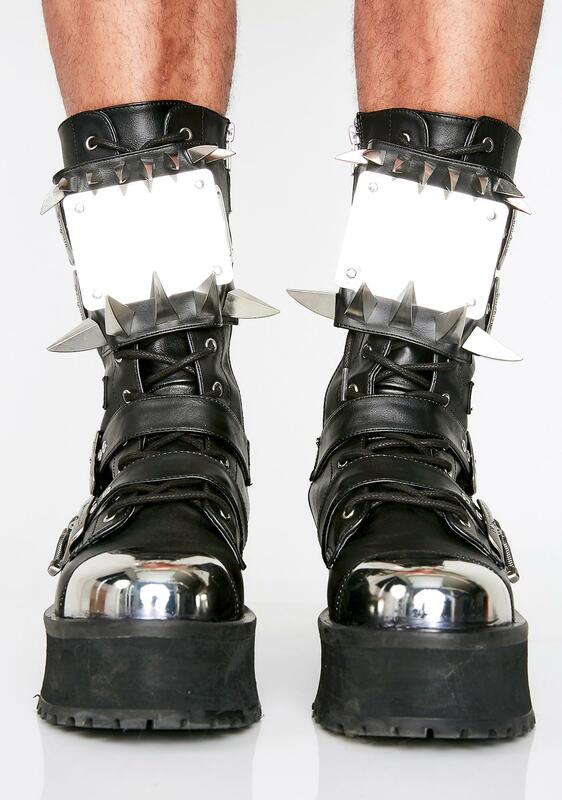 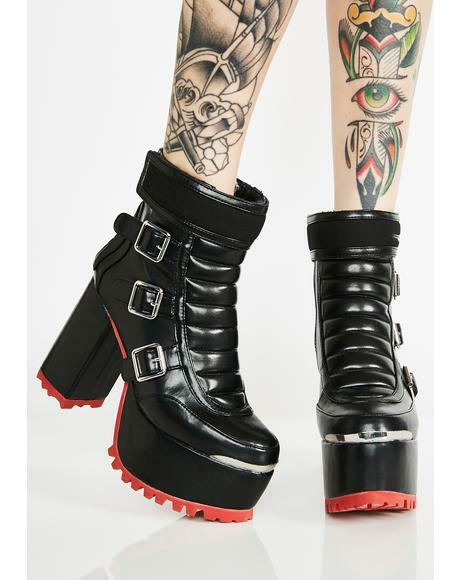 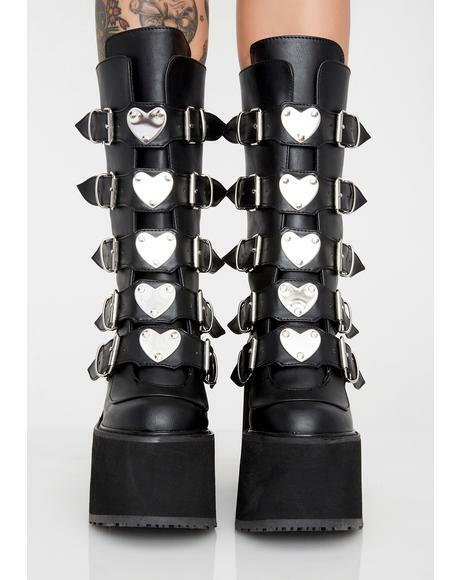 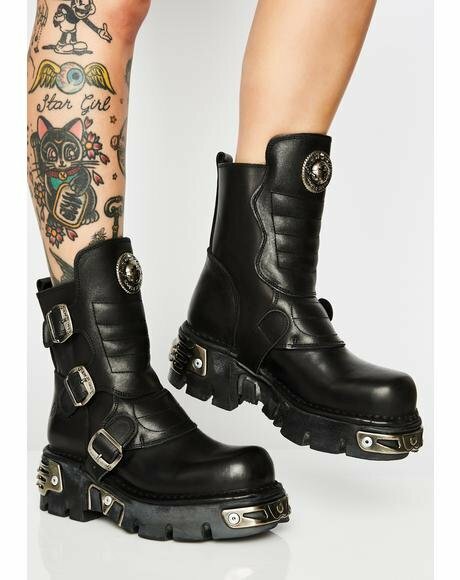 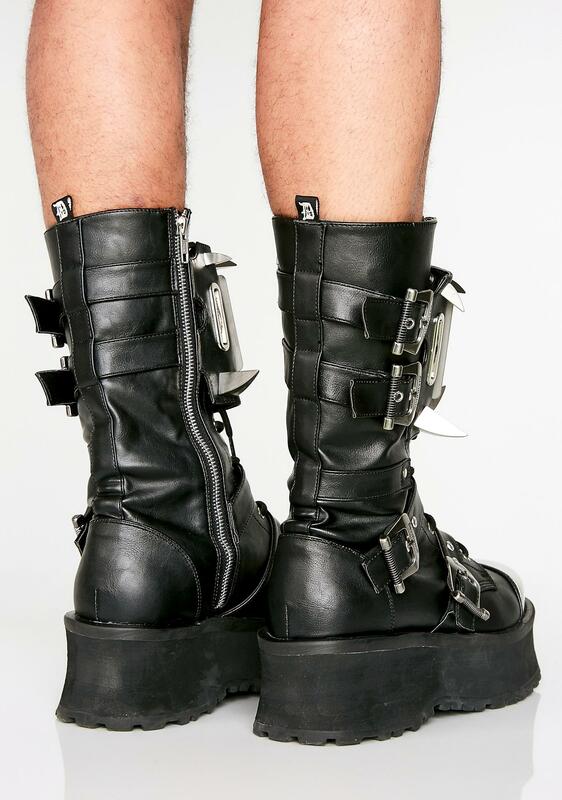 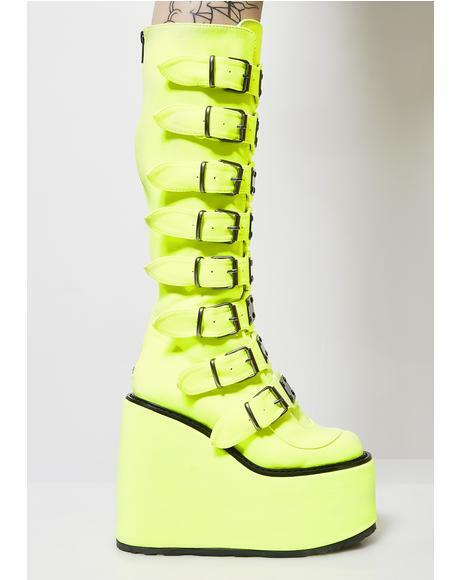 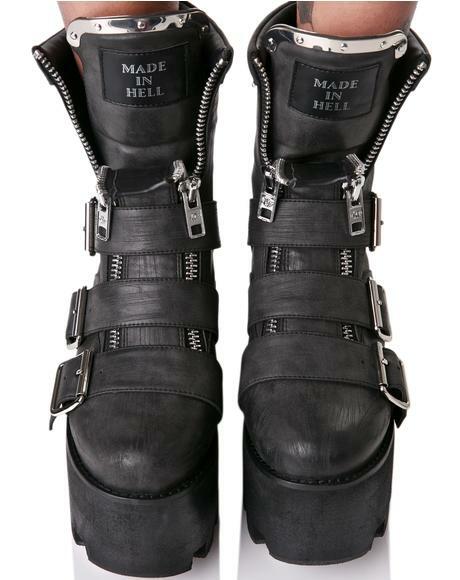 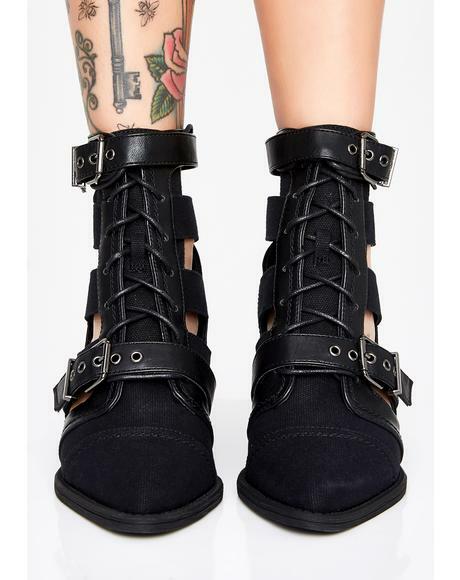 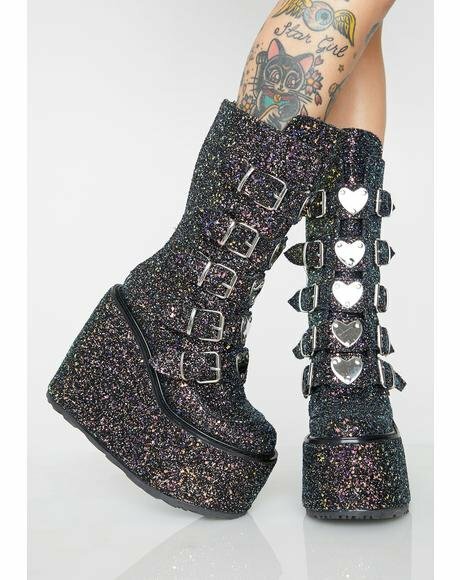 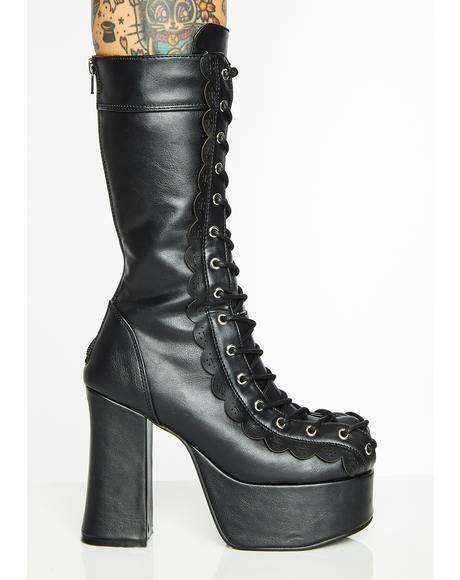 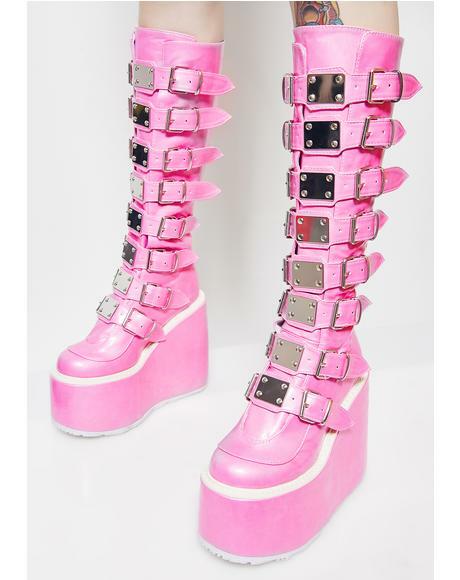 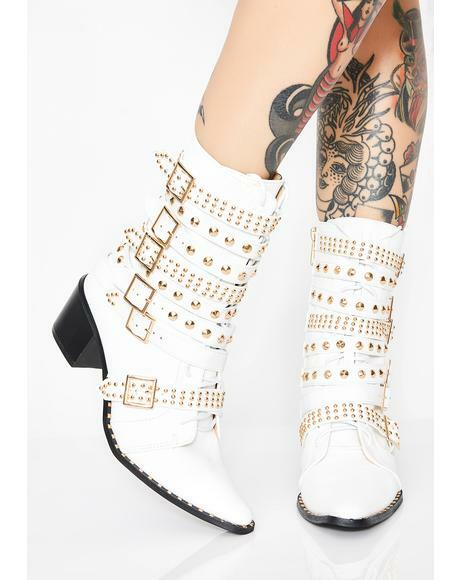 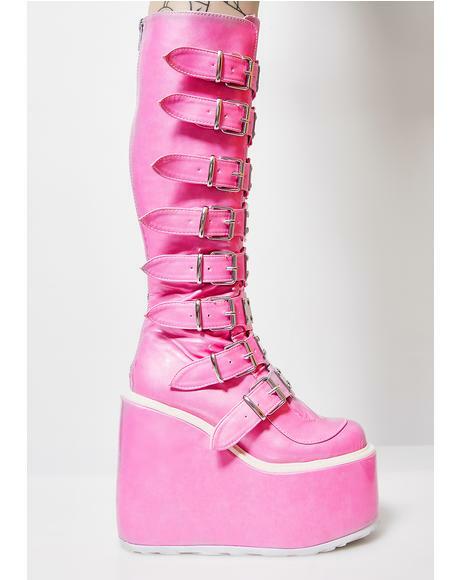 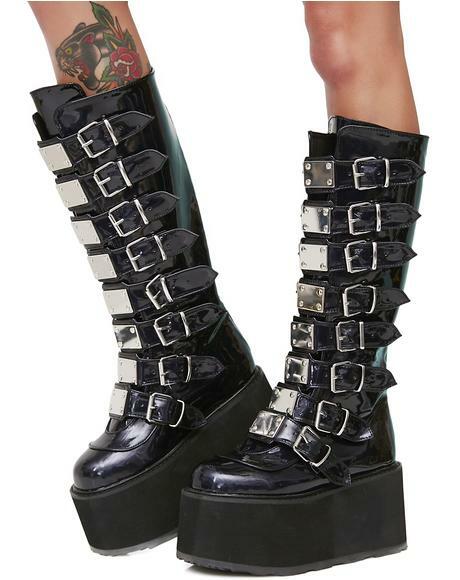 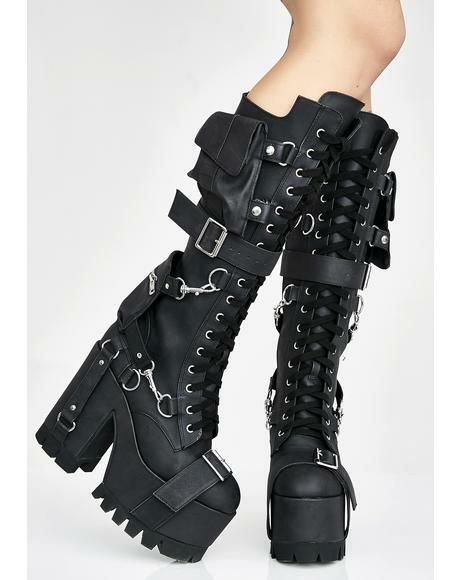 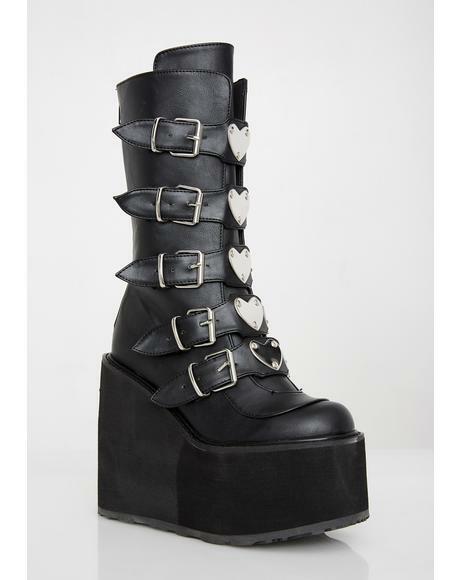 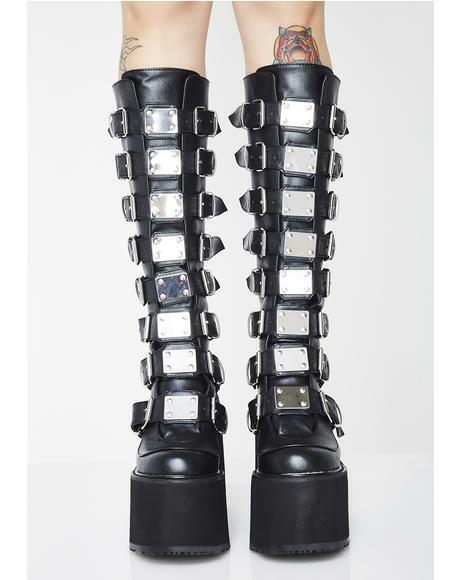 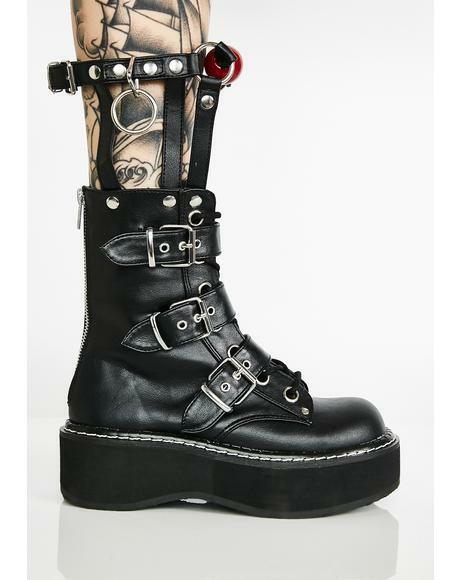 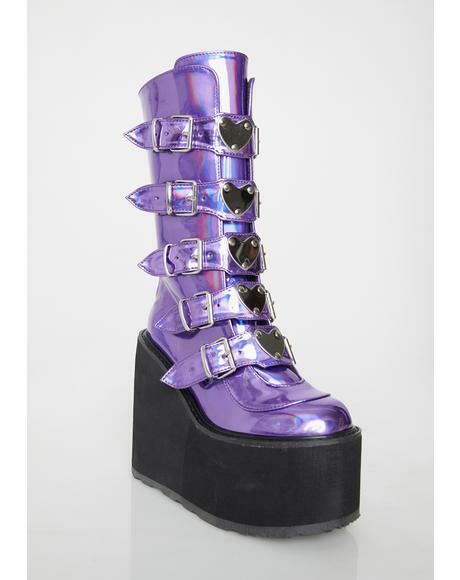 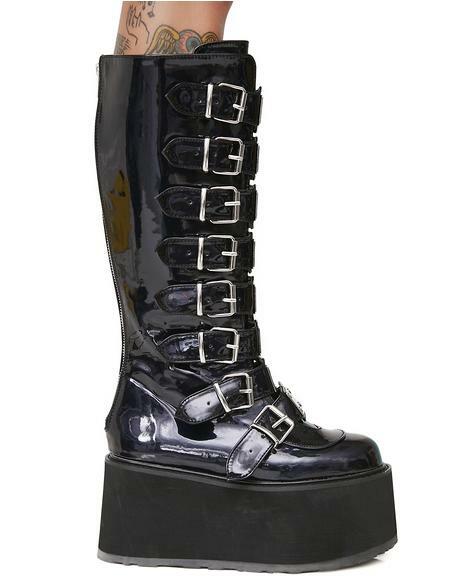 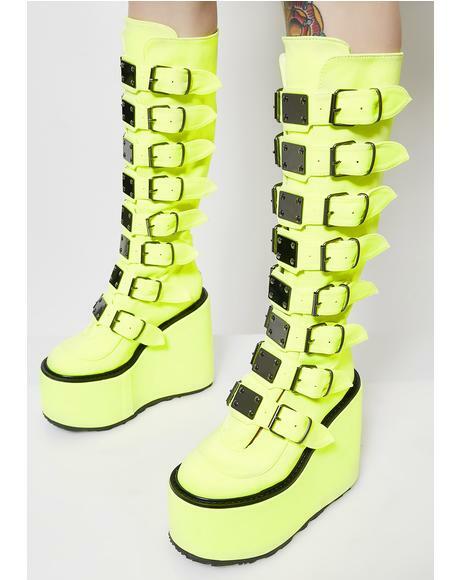 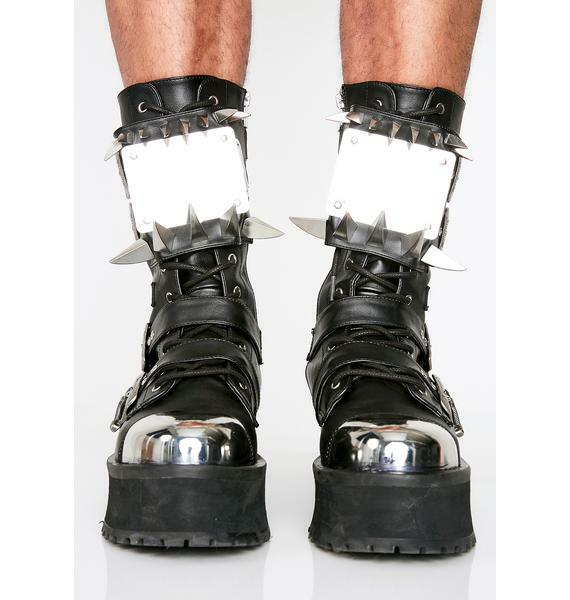 Demonia Hell Hunter Unisexx Spike Boots cuz ya get down with the devil. 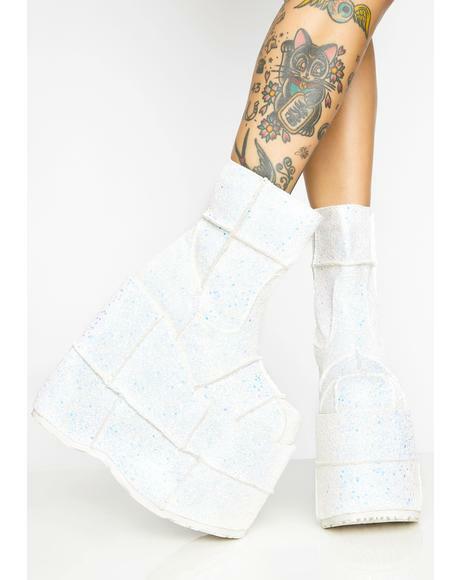 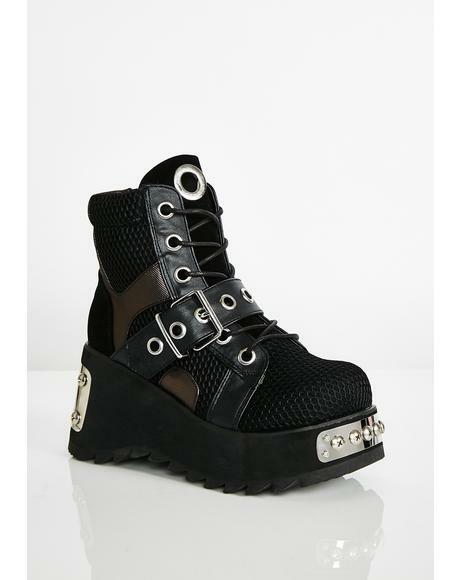 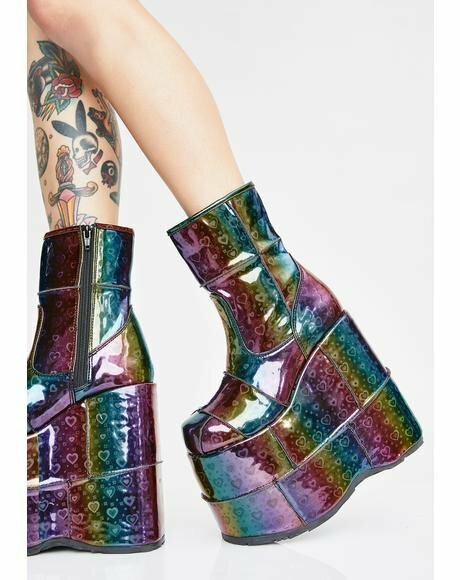 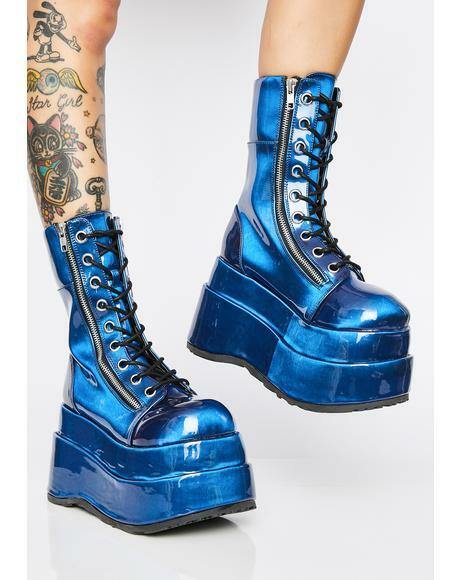 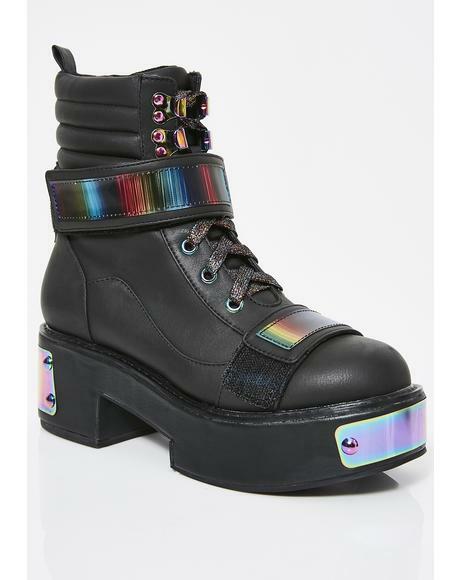 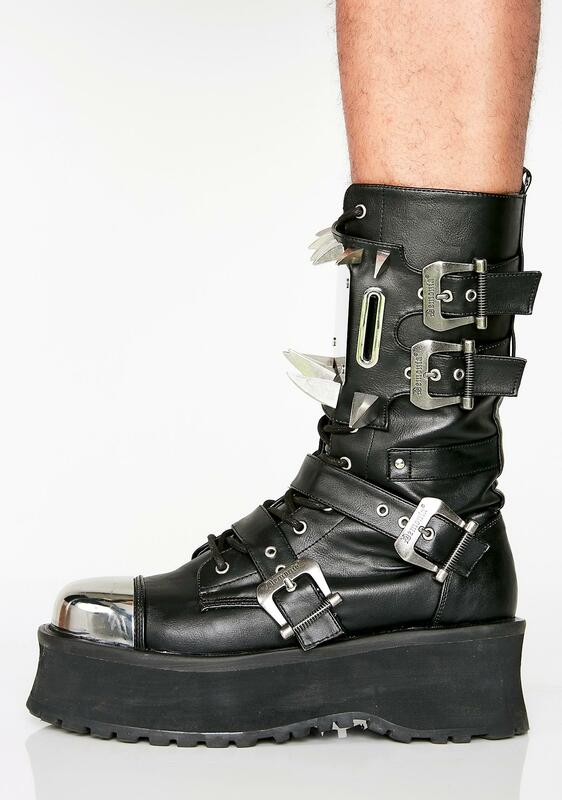 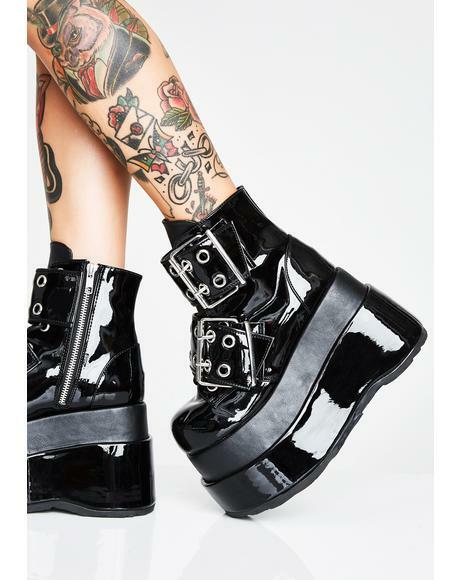 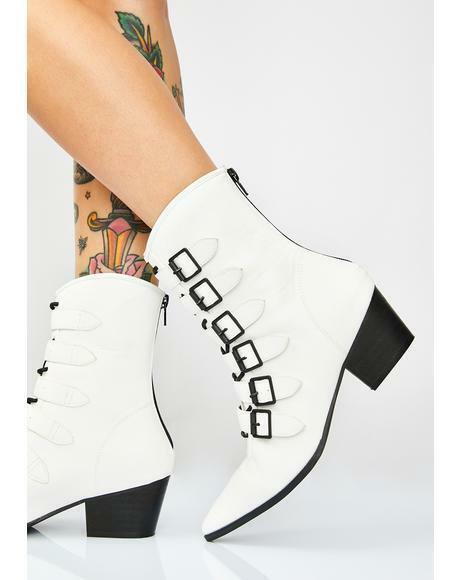 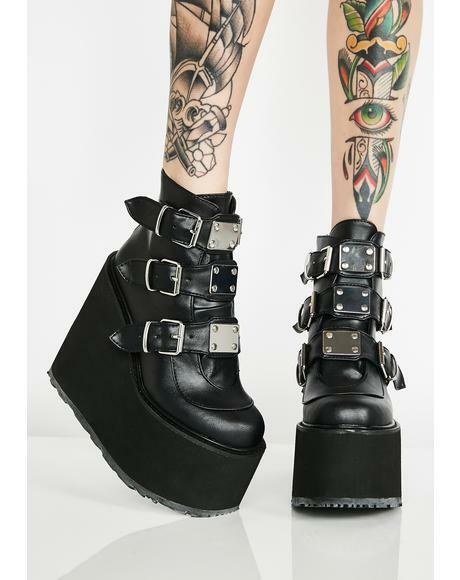 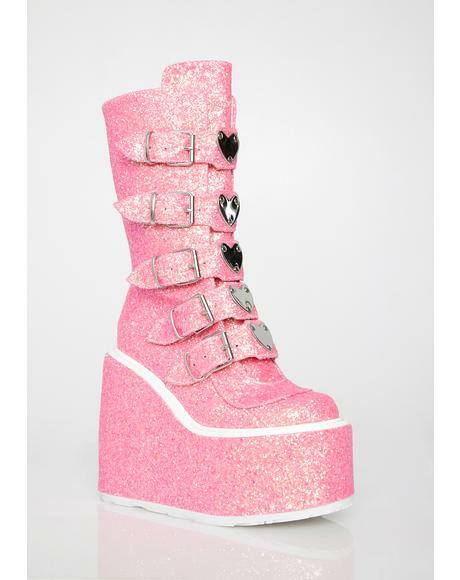 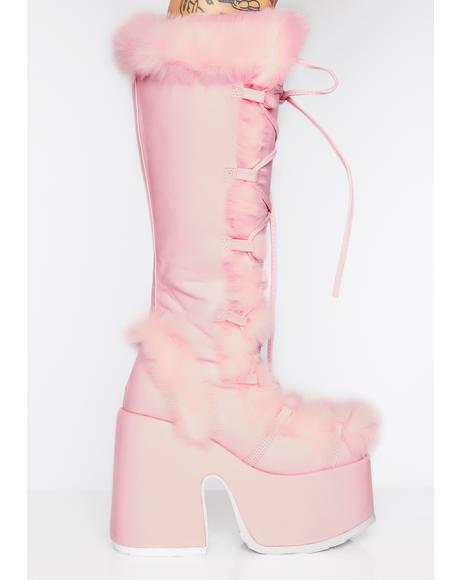 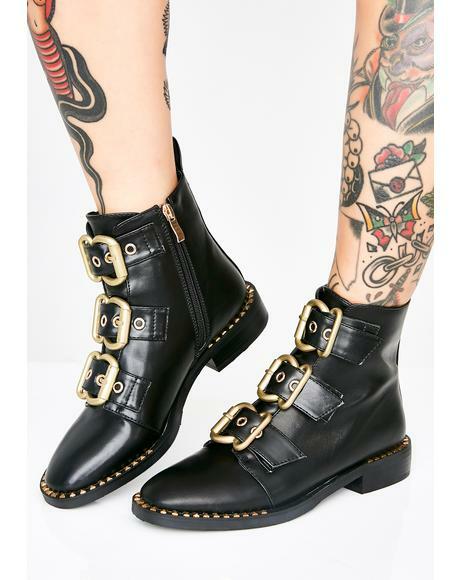 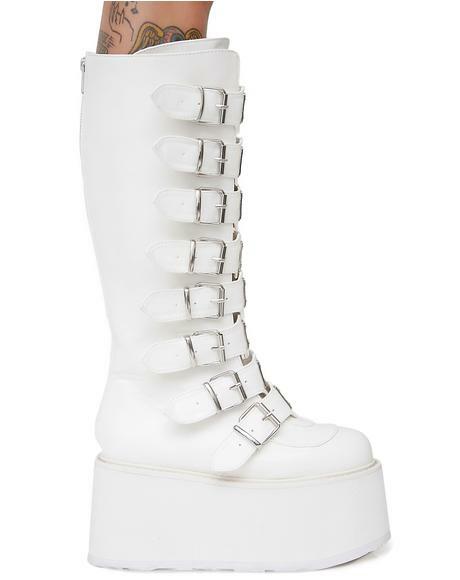 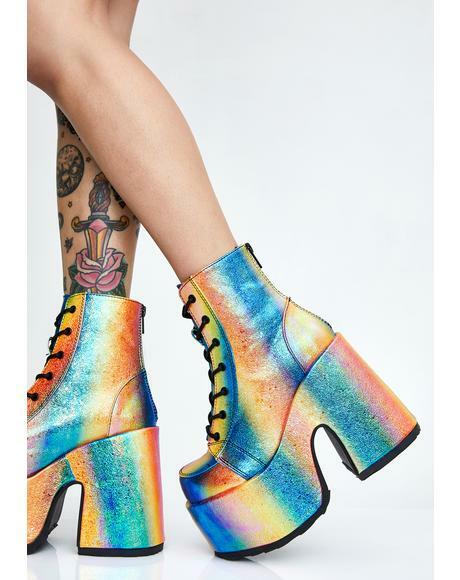 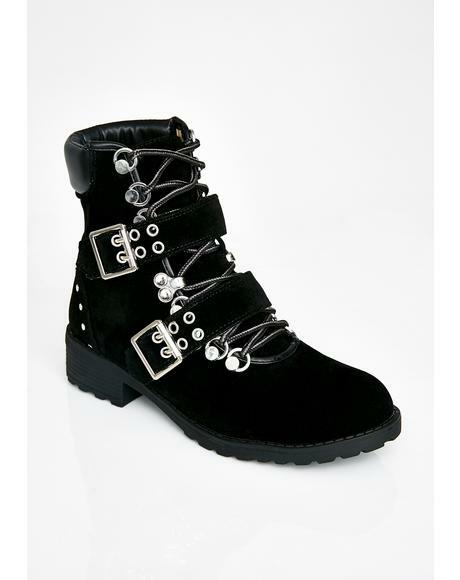 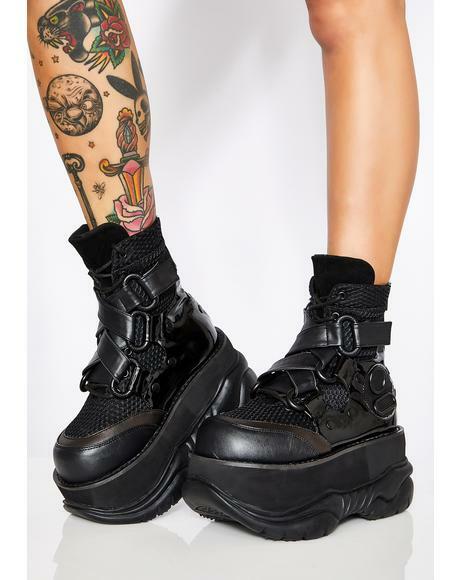 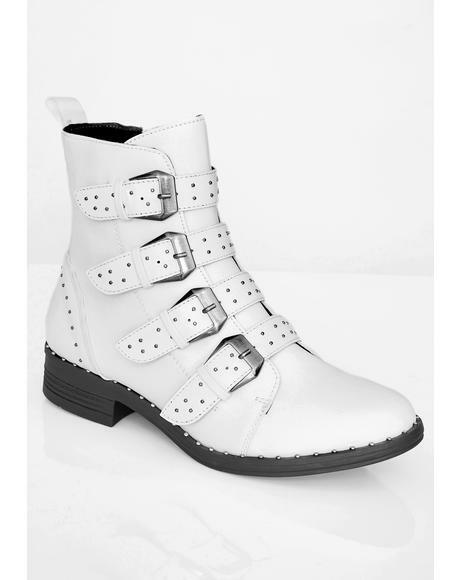 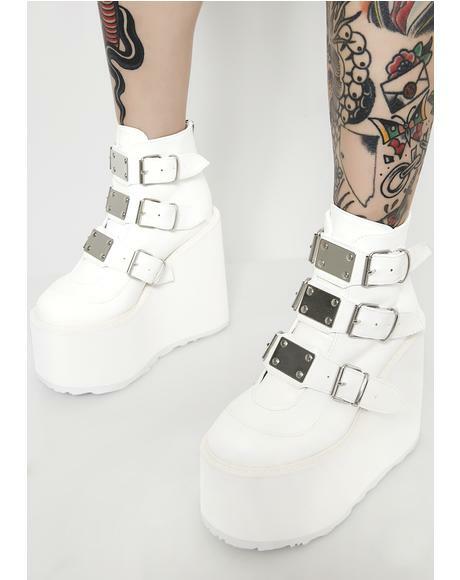 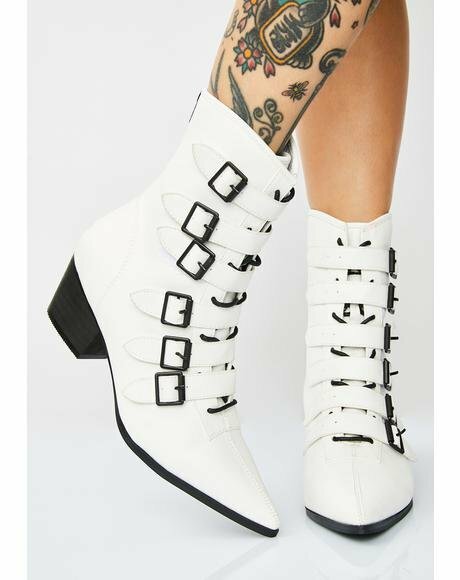 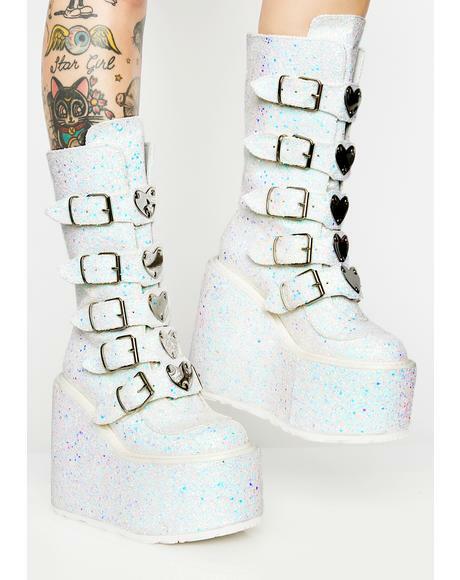 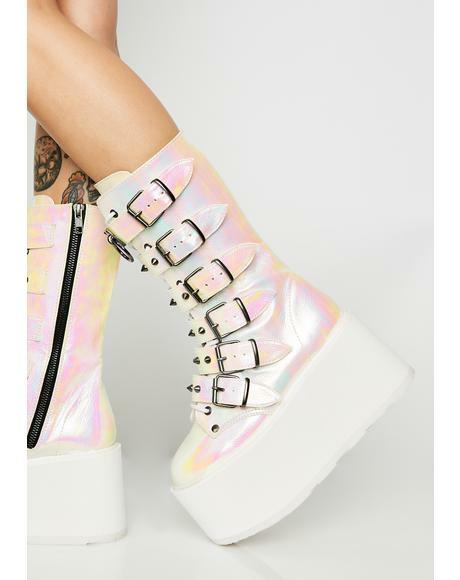 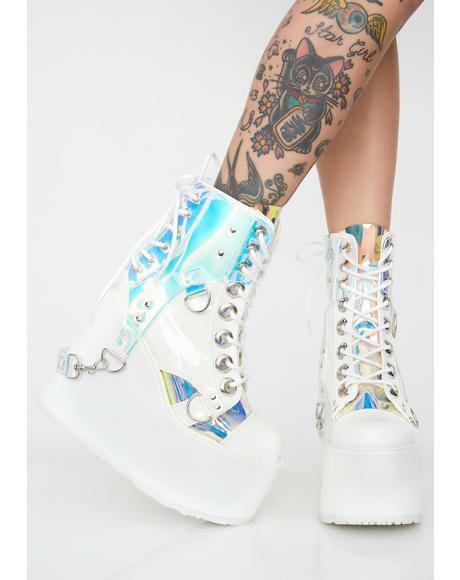 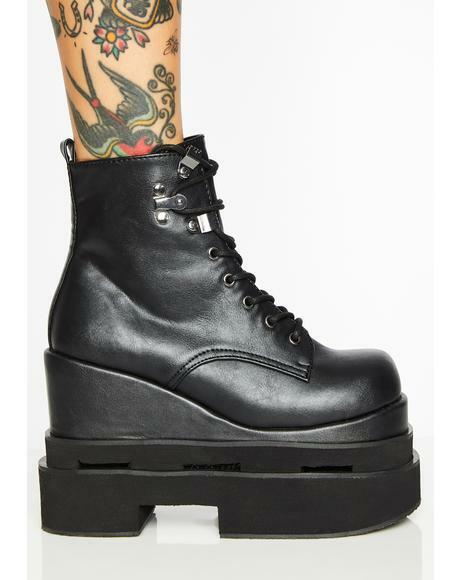 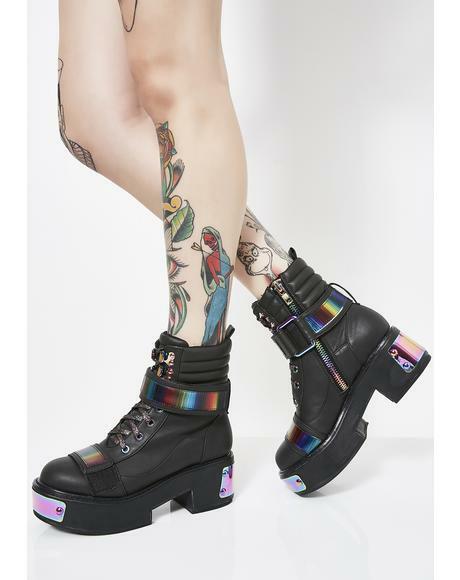 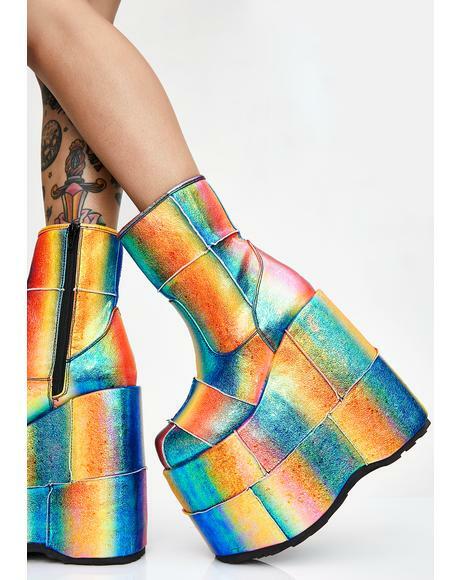 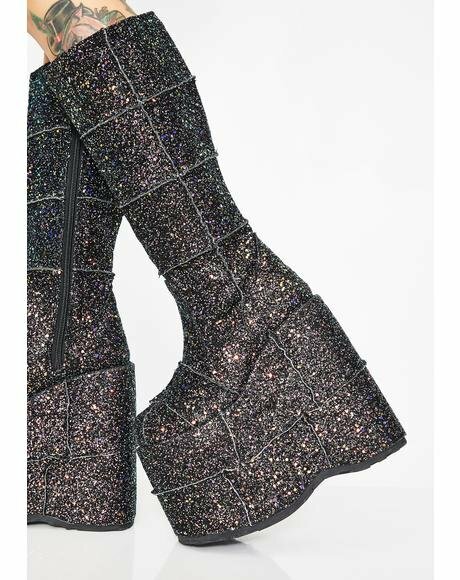 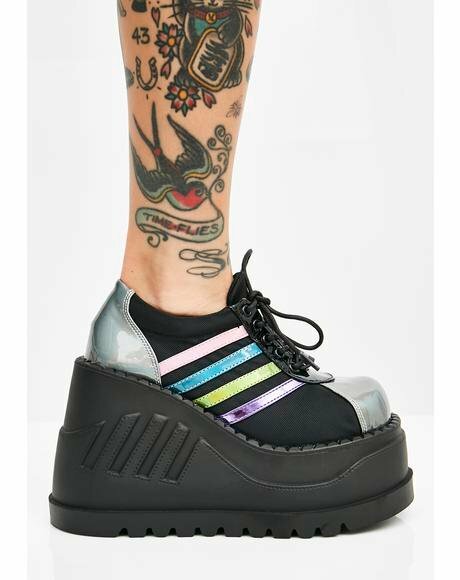 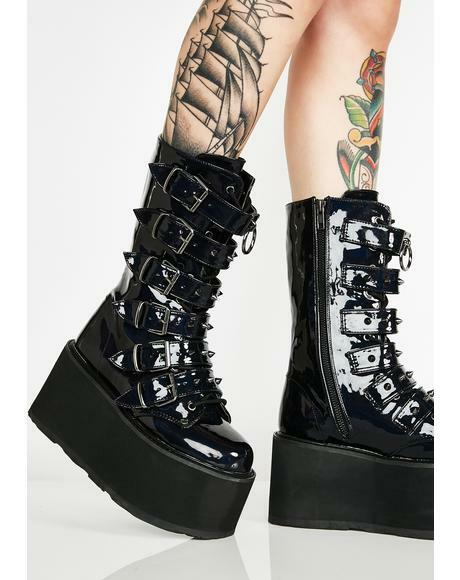 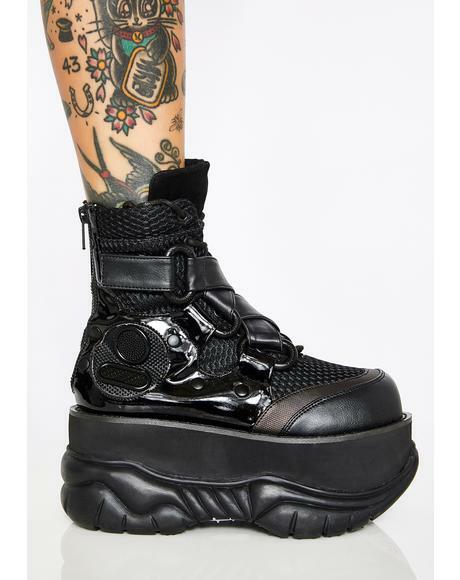 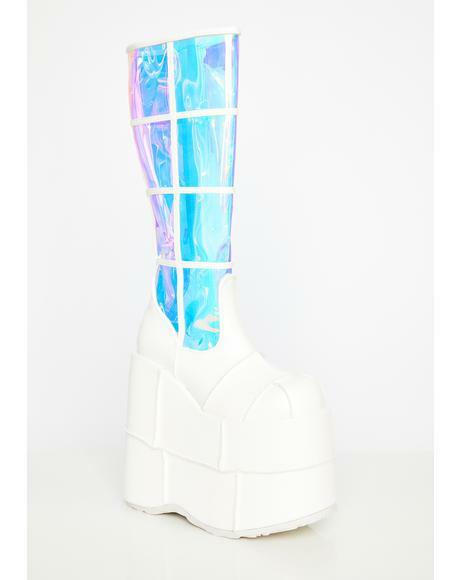 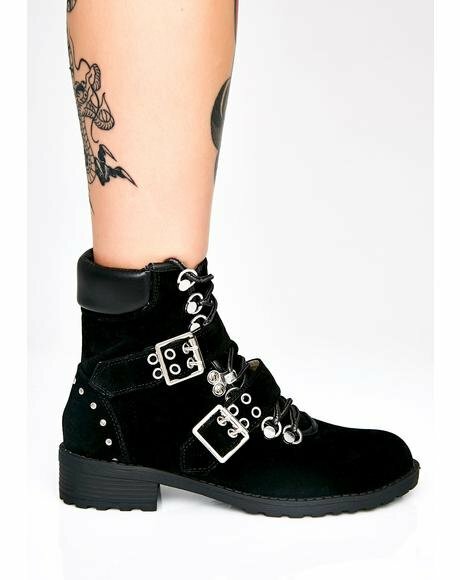 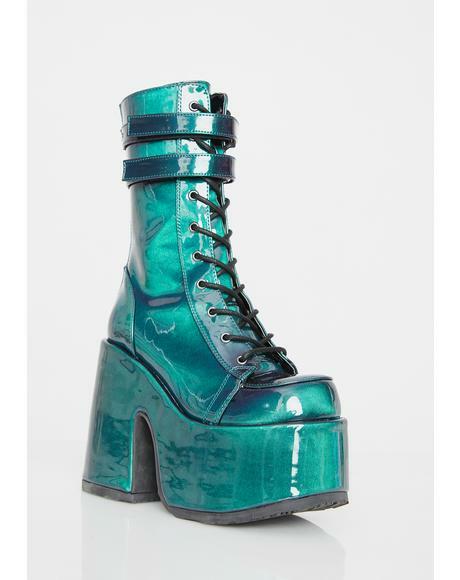 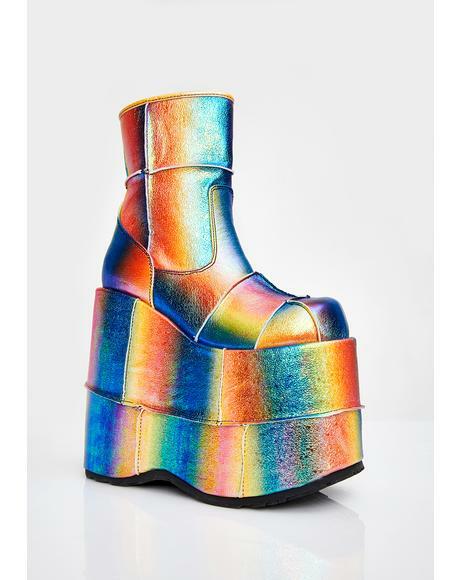 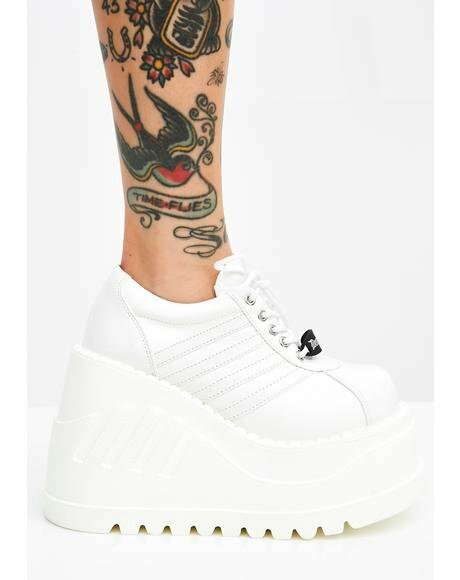 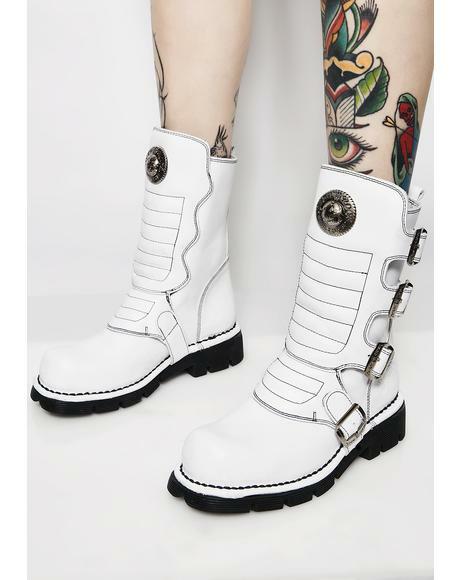 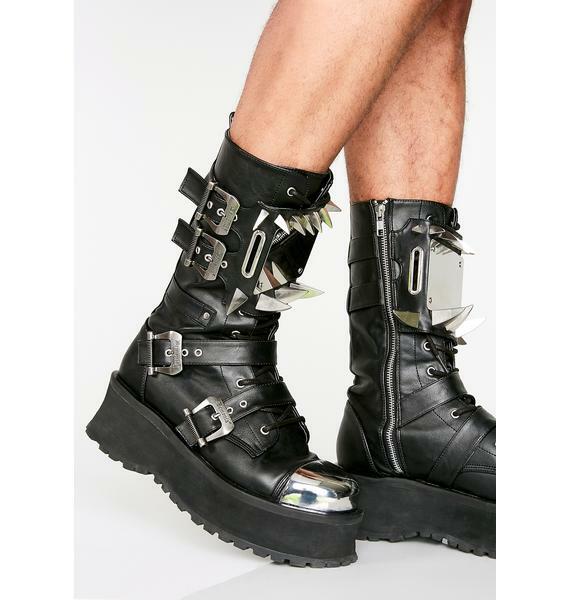 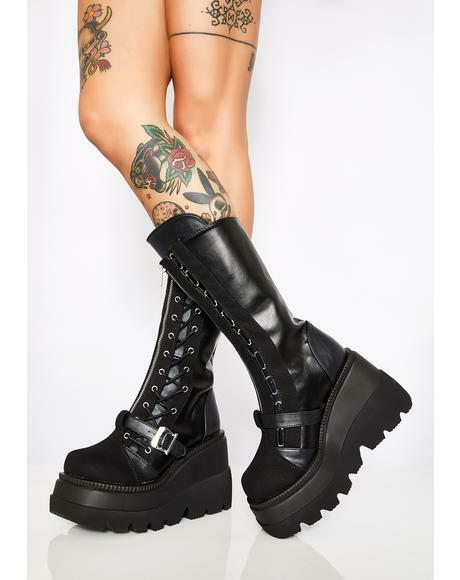 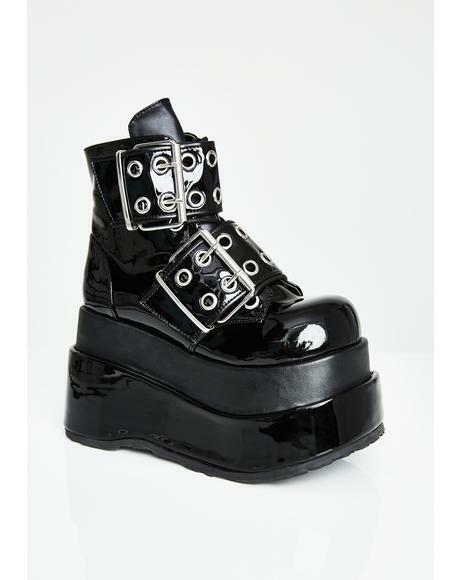 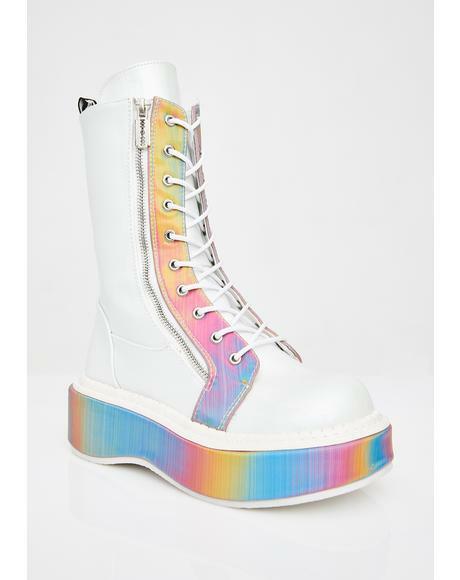 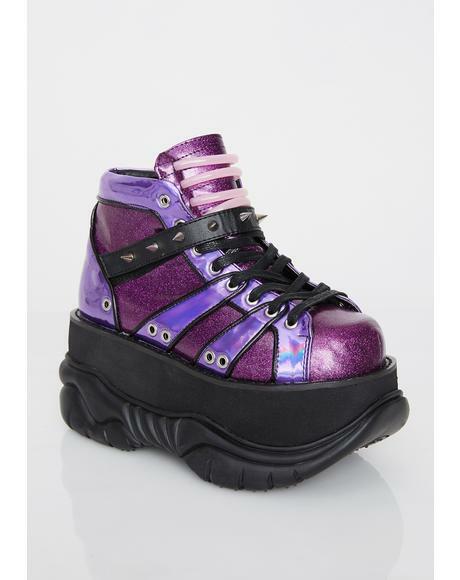 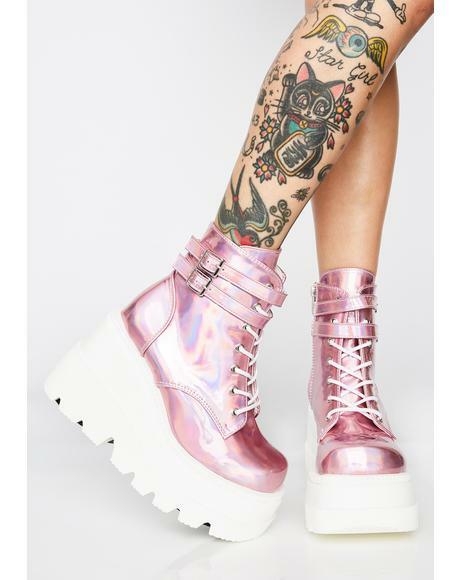 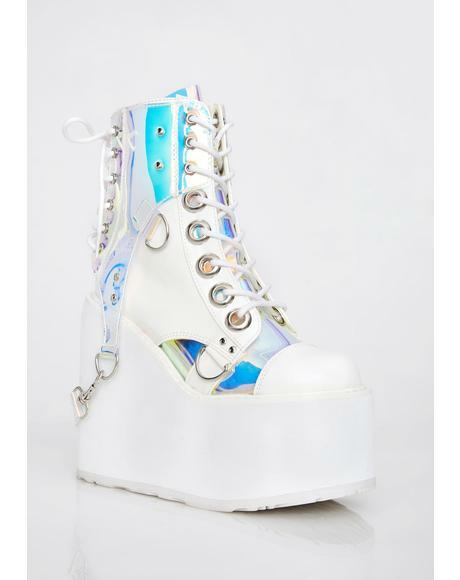 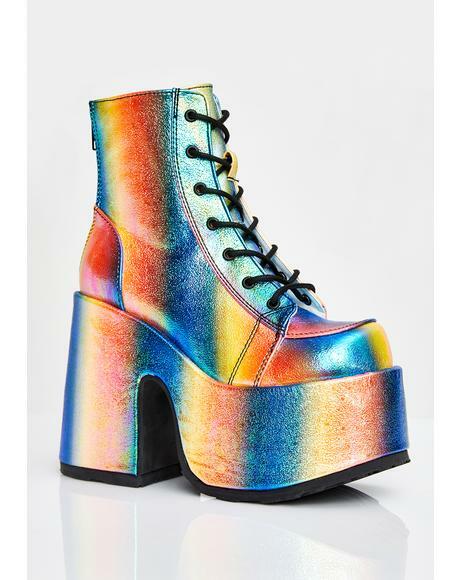 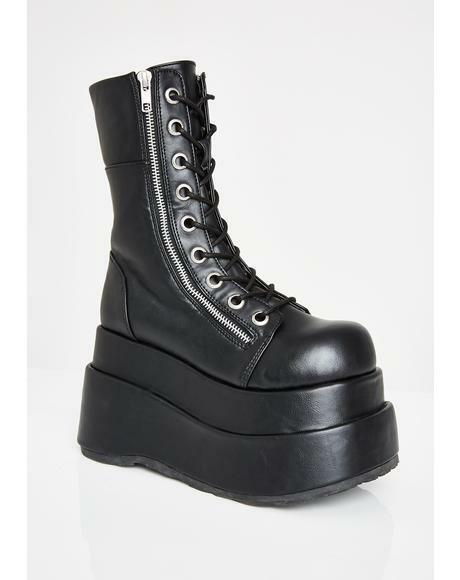 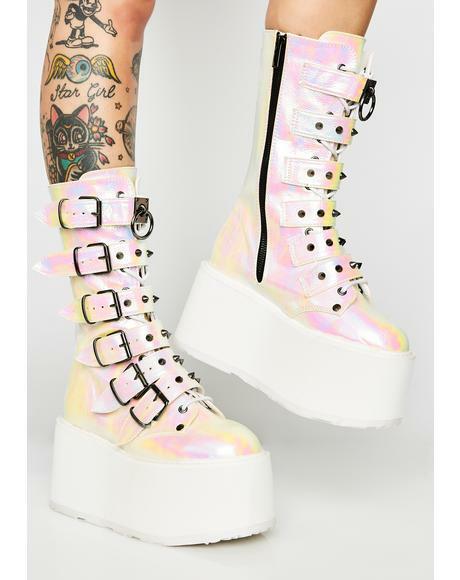 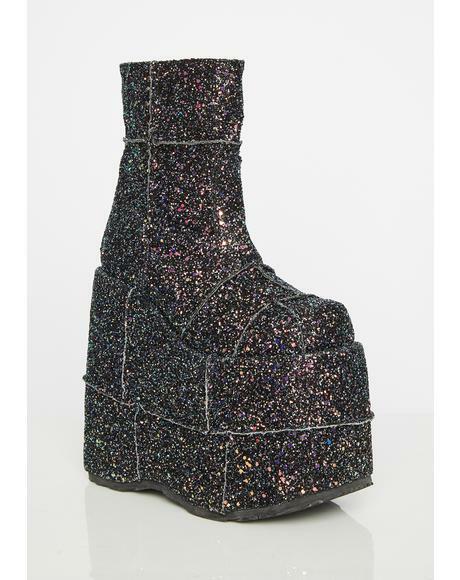 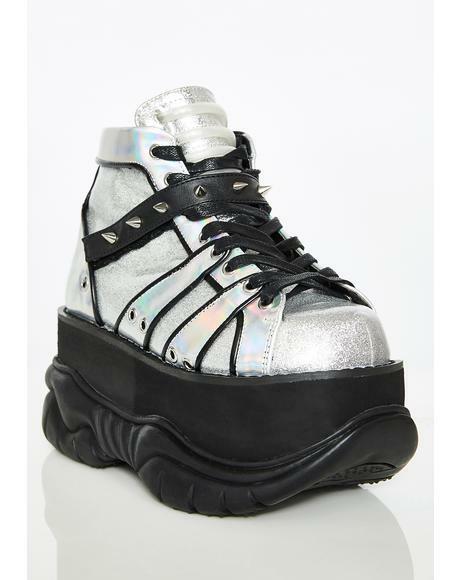 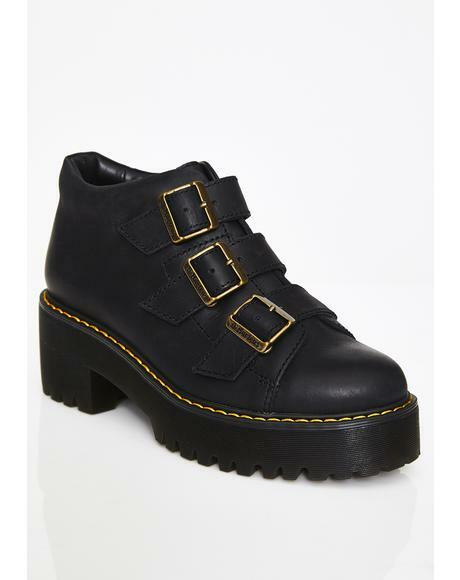 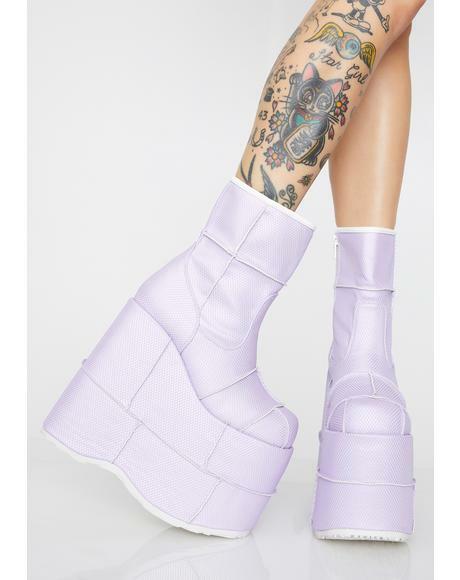 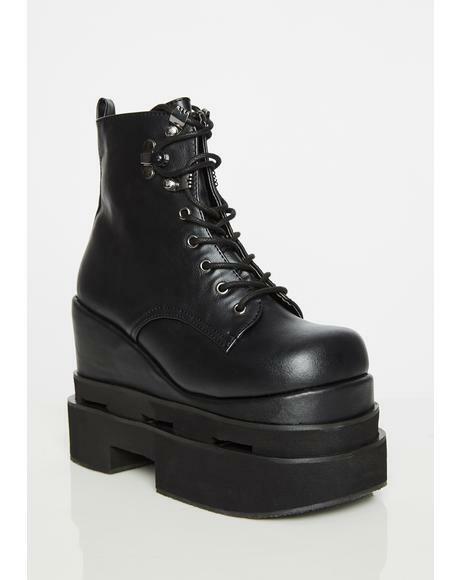 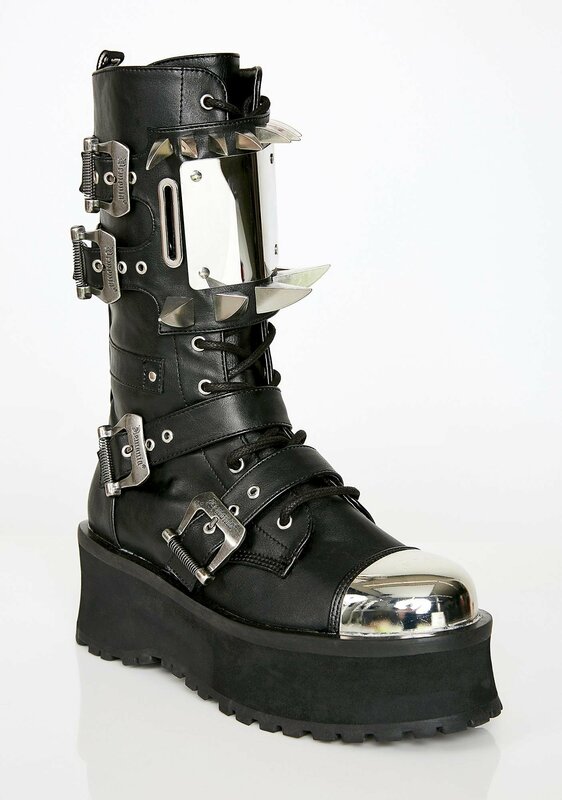 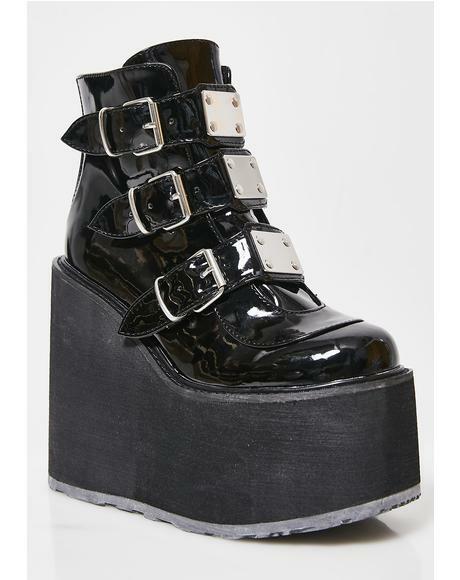 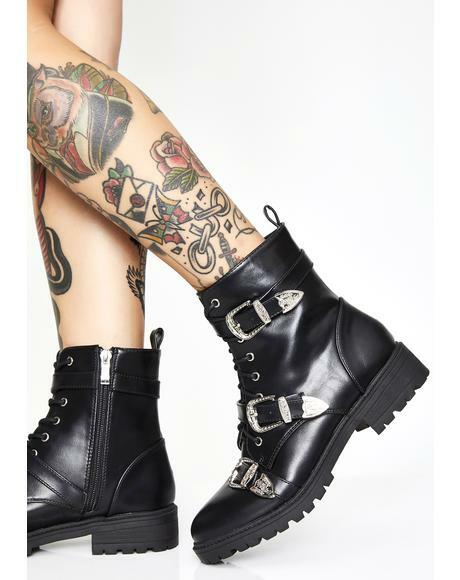 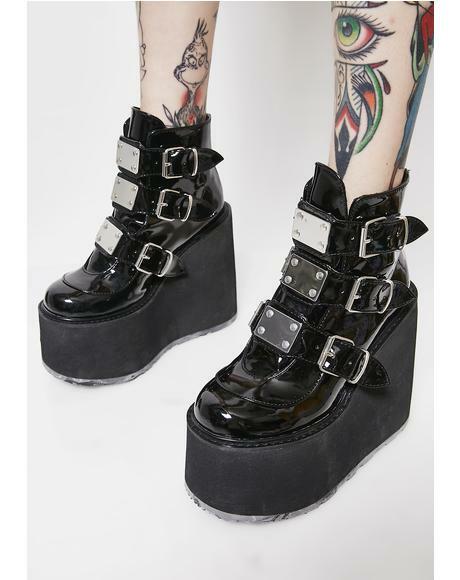 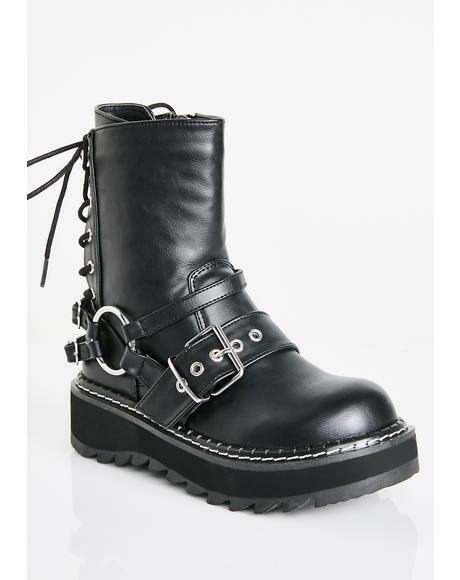 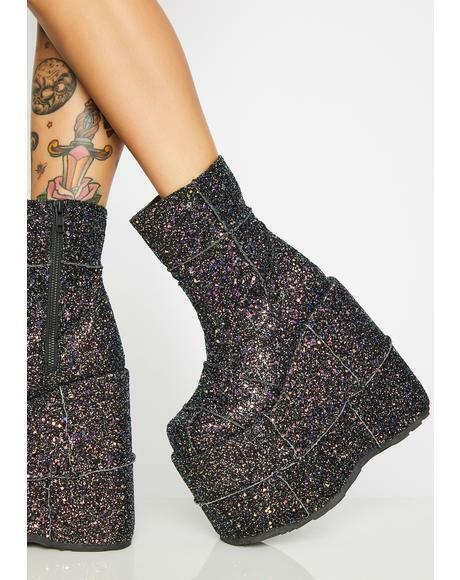 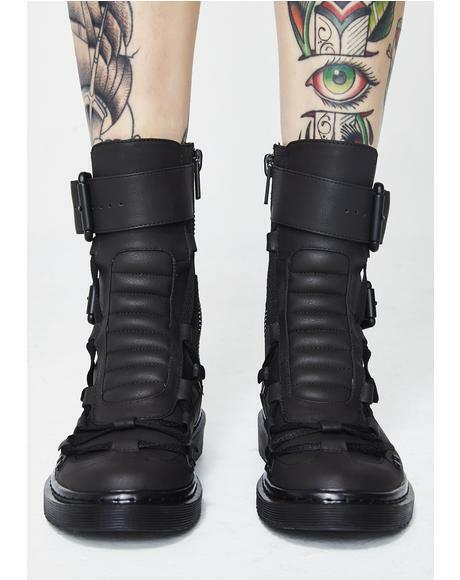 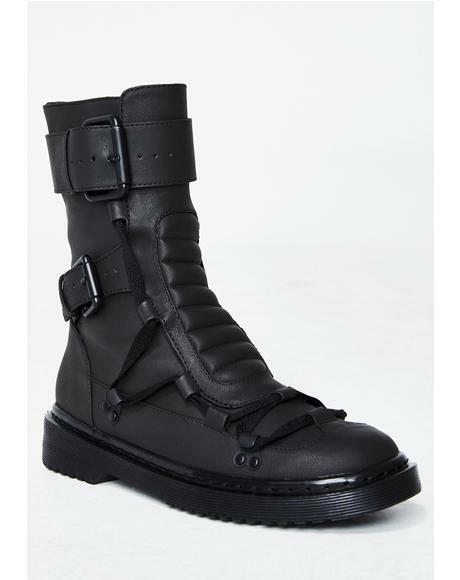 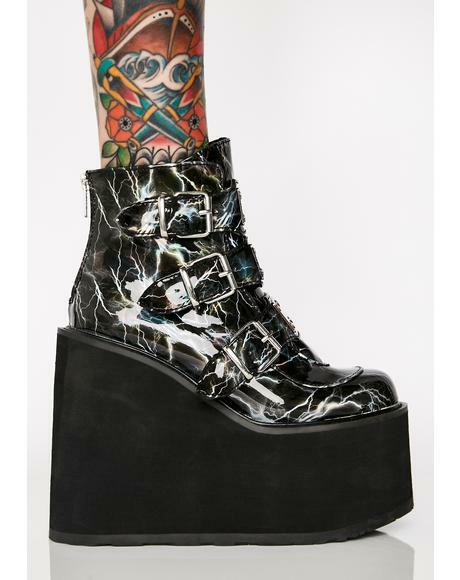 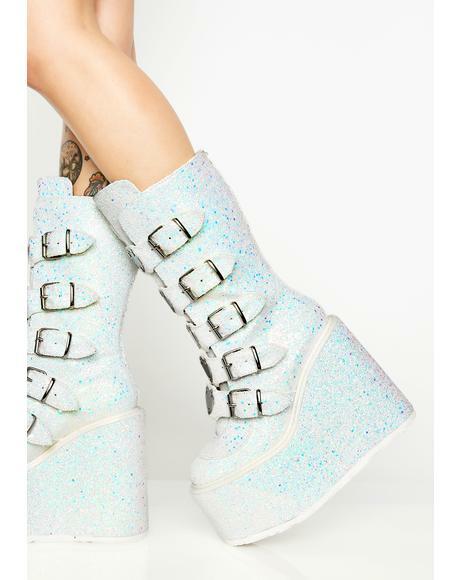 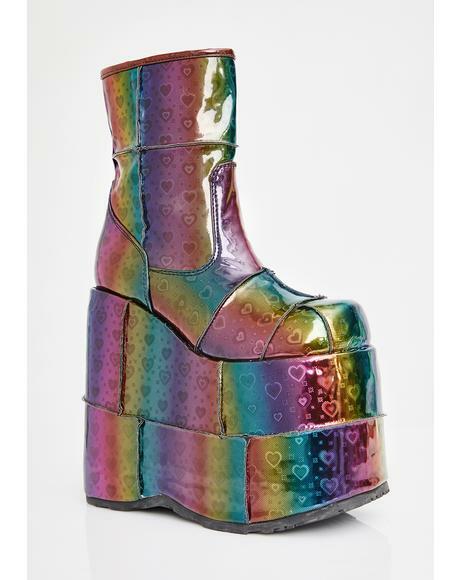 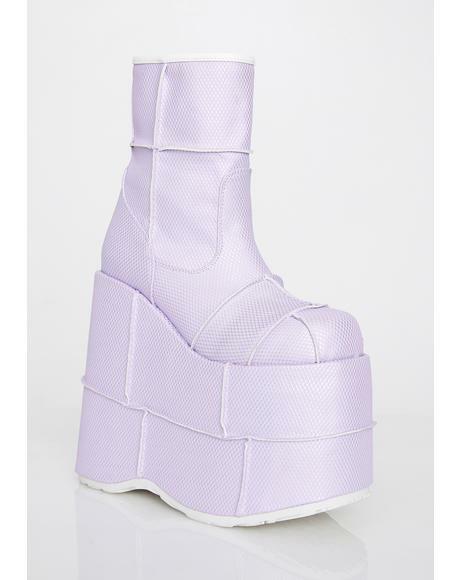 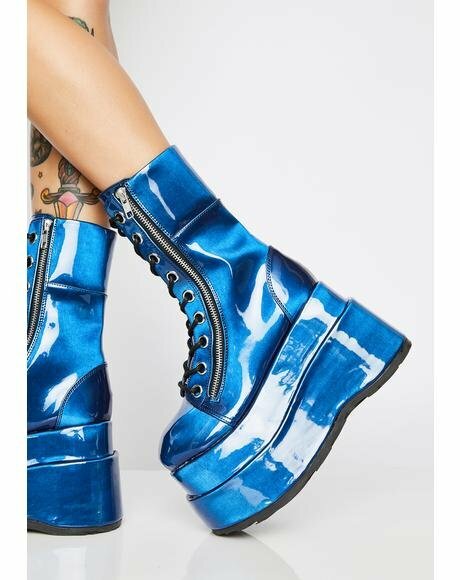 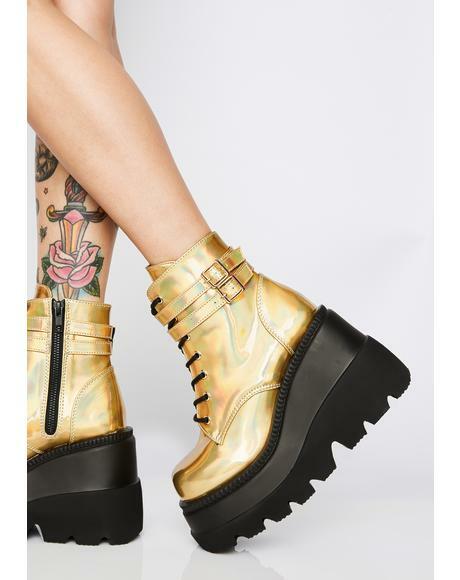 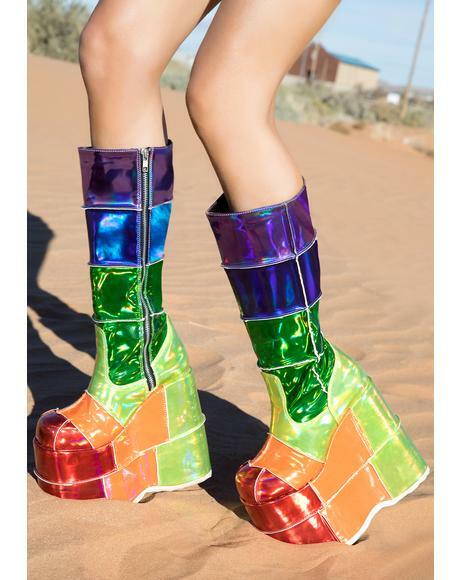 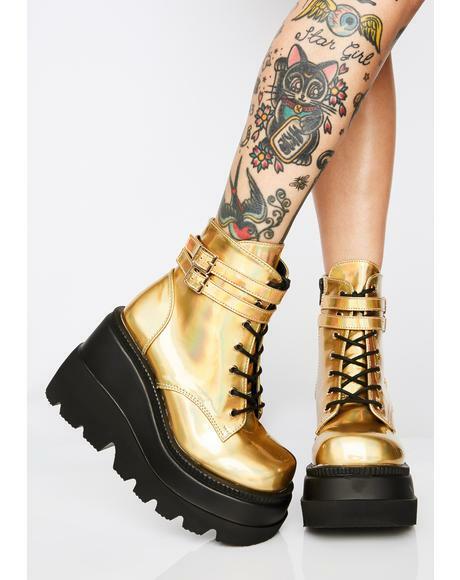 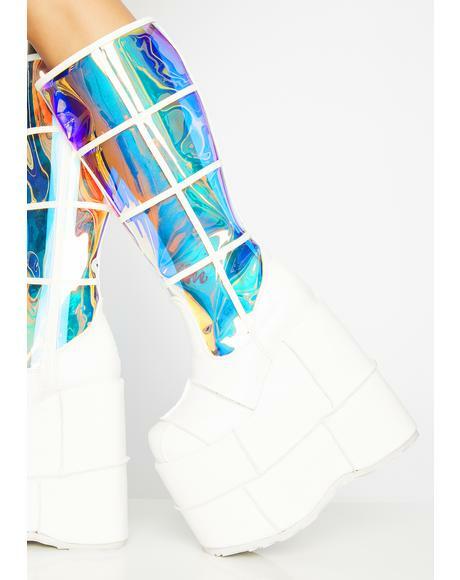 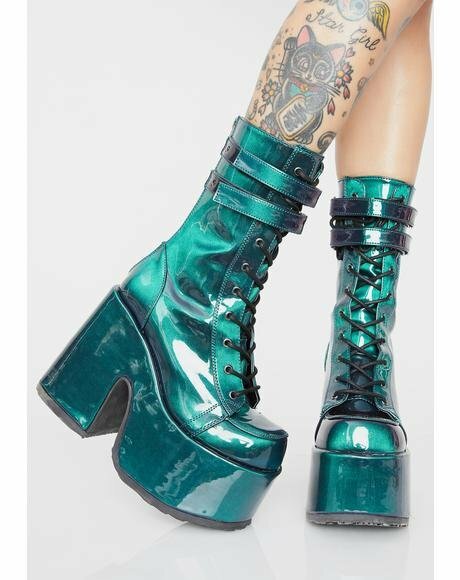 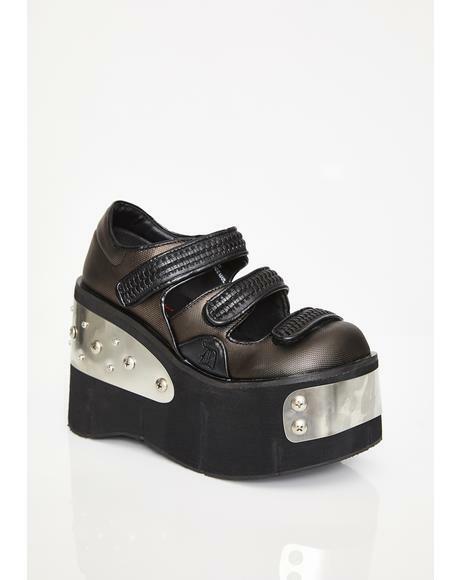 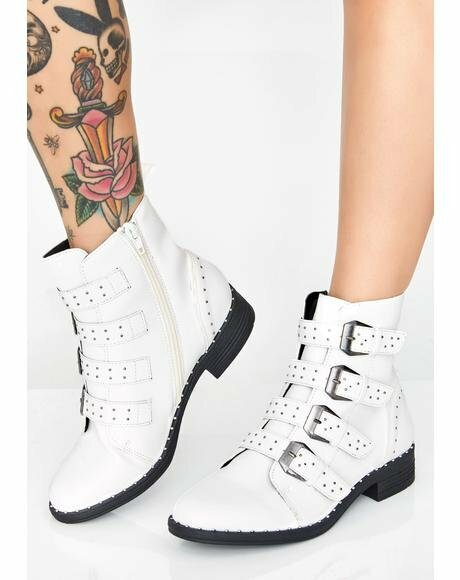 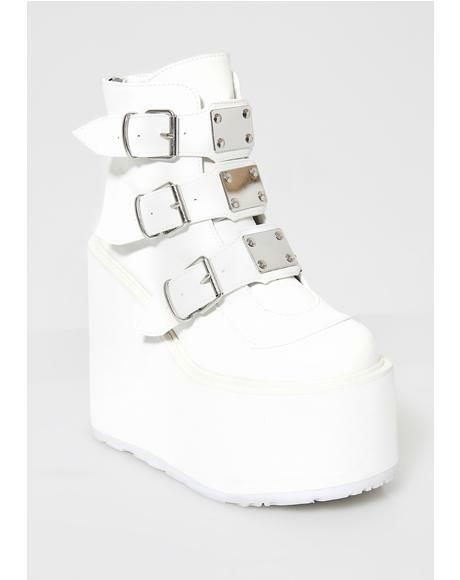 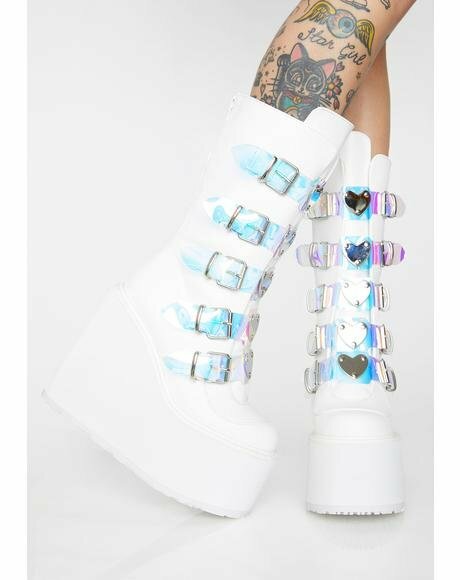 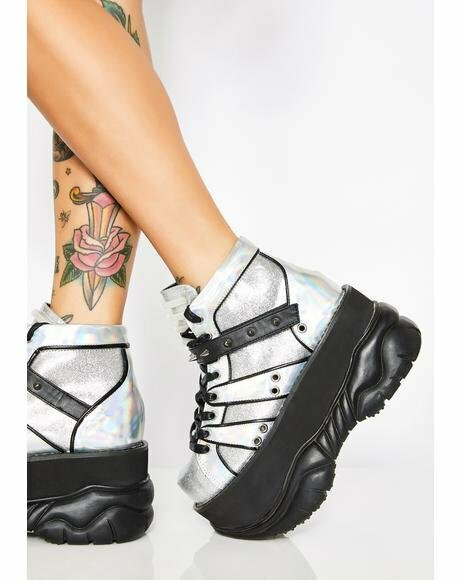 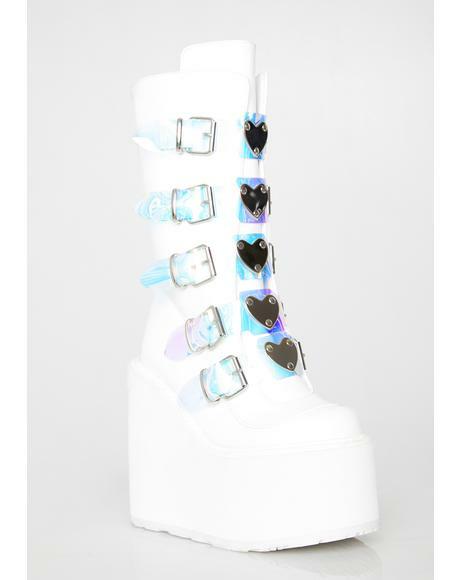 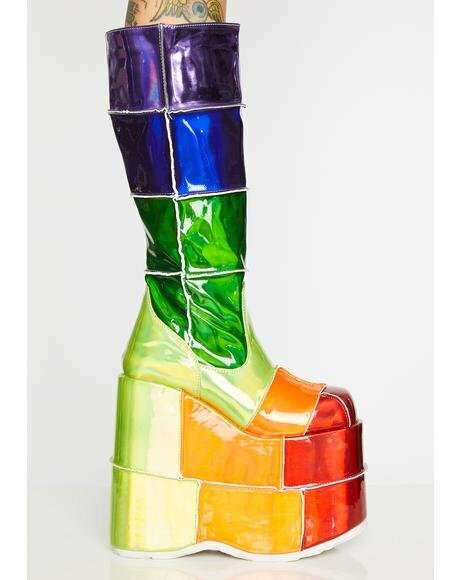 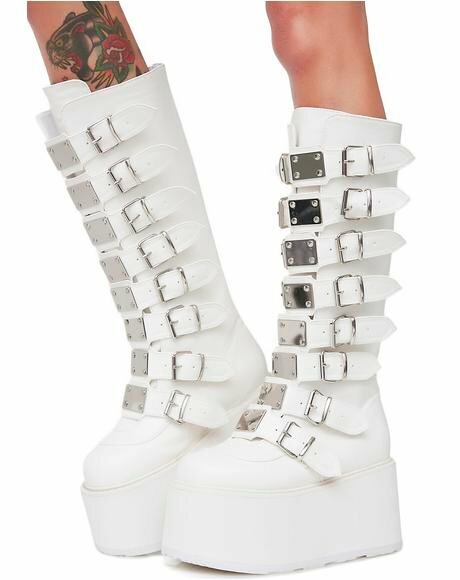 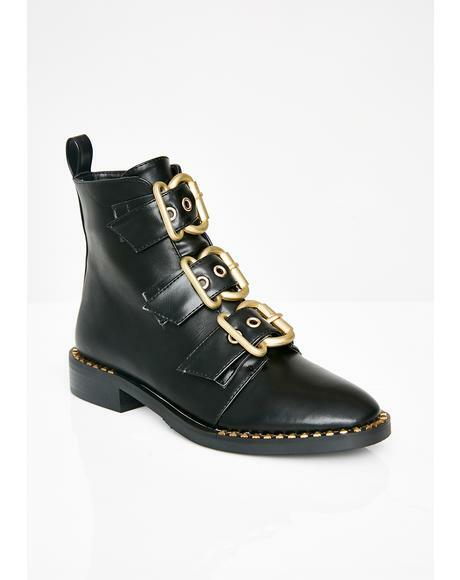 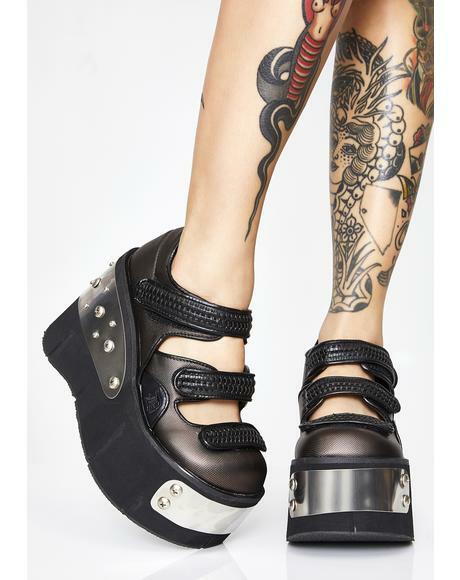 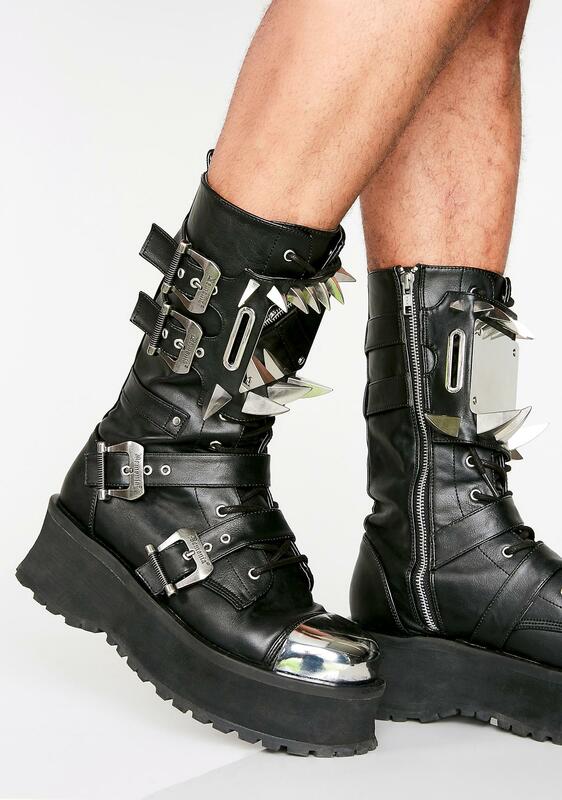 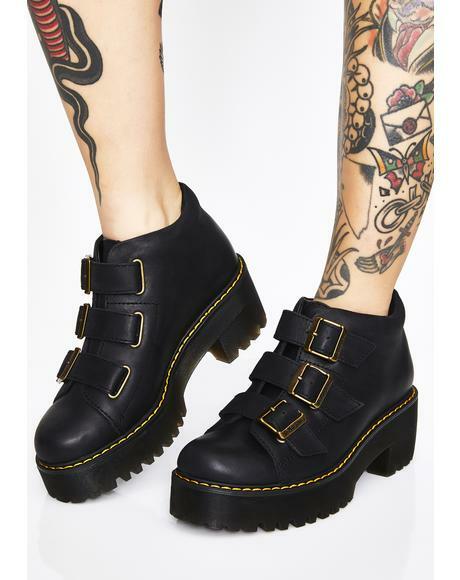 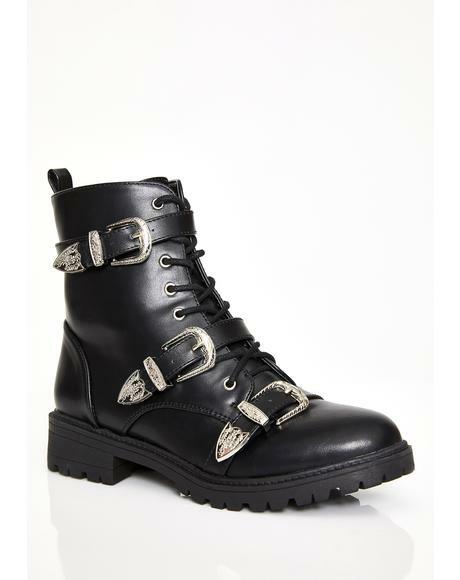 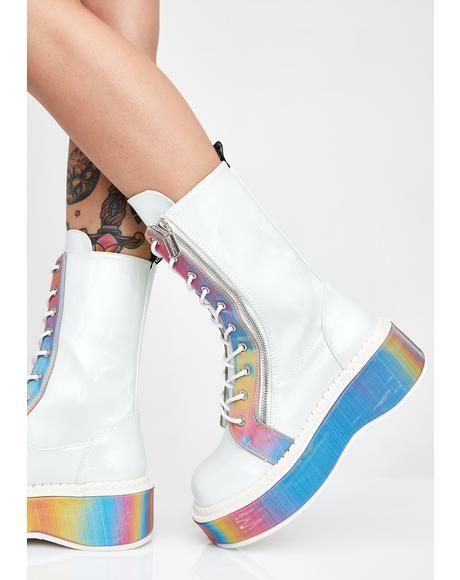 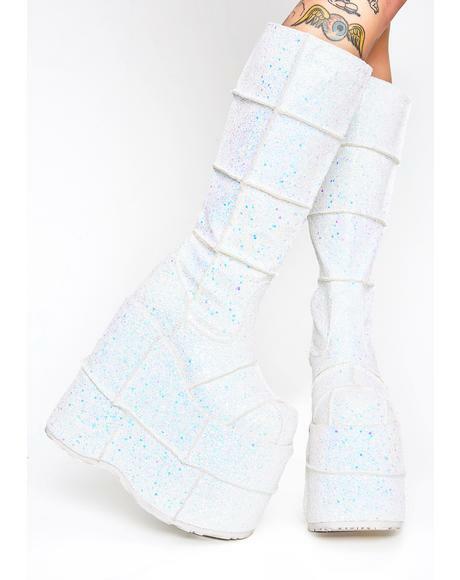 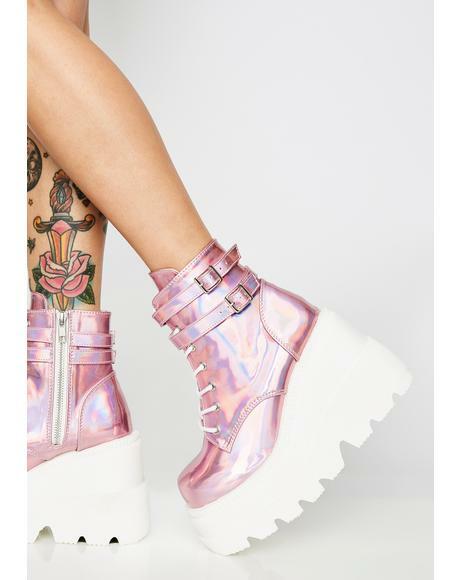 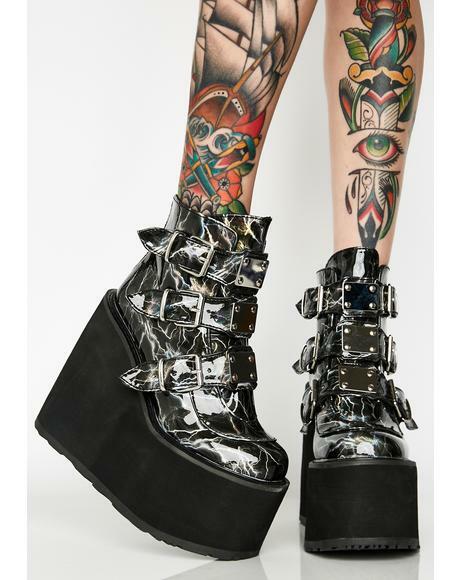 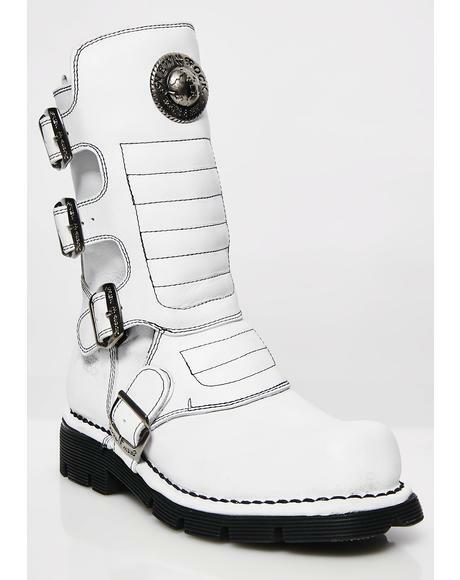 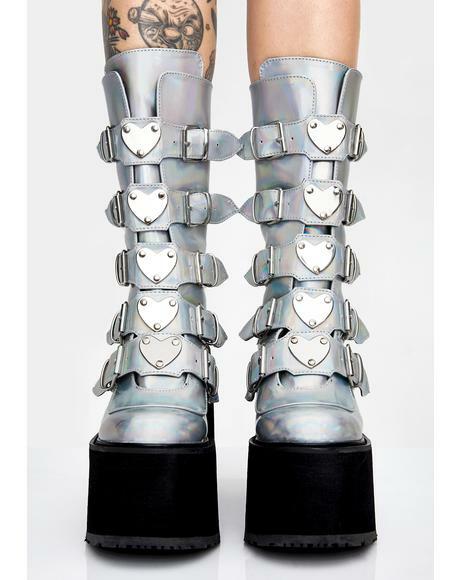 Take no prisonerz in these sikk silver toed boots that have chrome N’ buckle deetz and side zip closures. 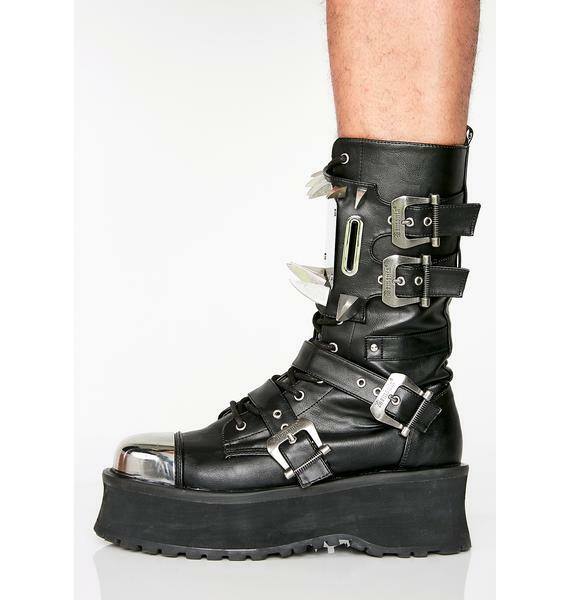 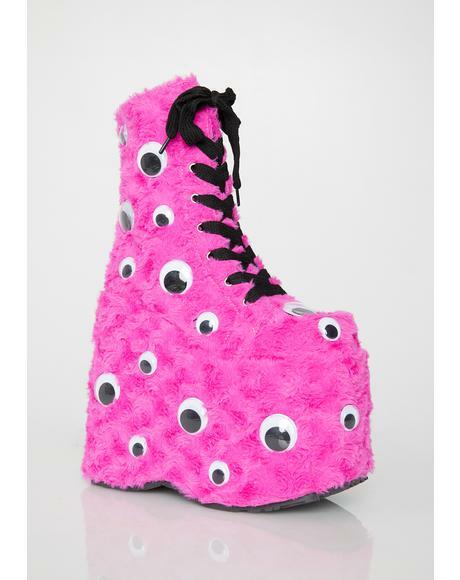 These BBz are in U.S. men's sizing; peep the size chart for ur perfect fit!